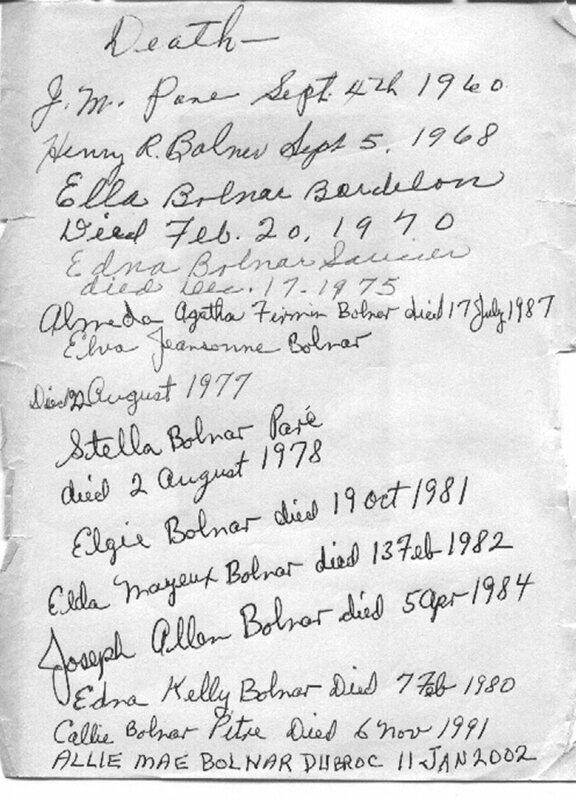 who passed away on May 16, 2004. 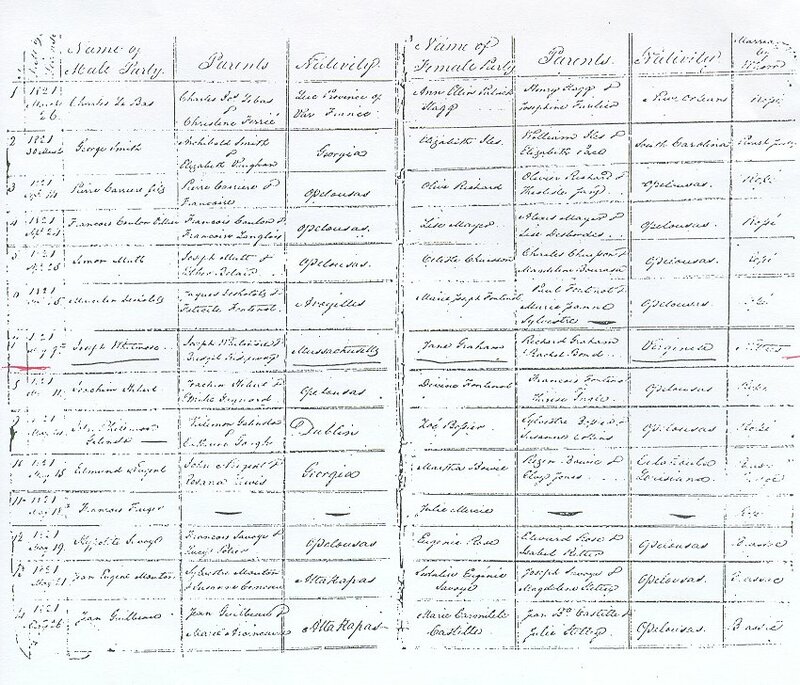 His contribution to the study of our families' genealogy will forever be remembered. 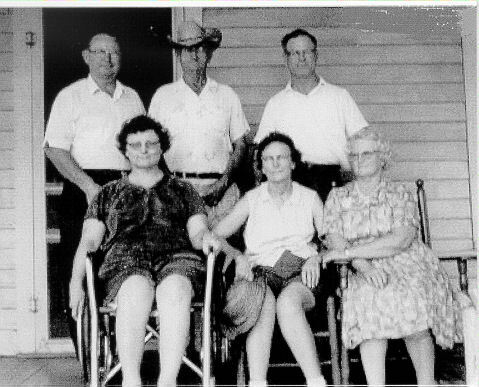 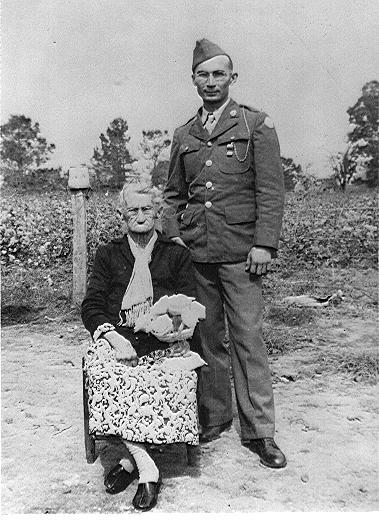 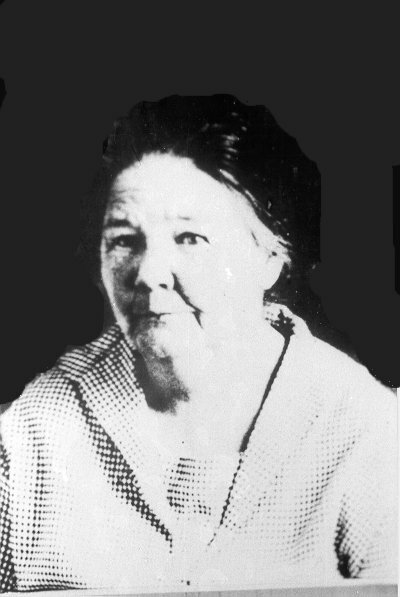 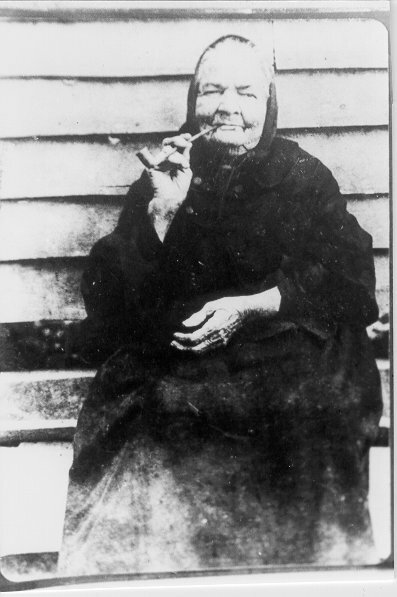 Descendants of Joseph Dubroc, Sr. 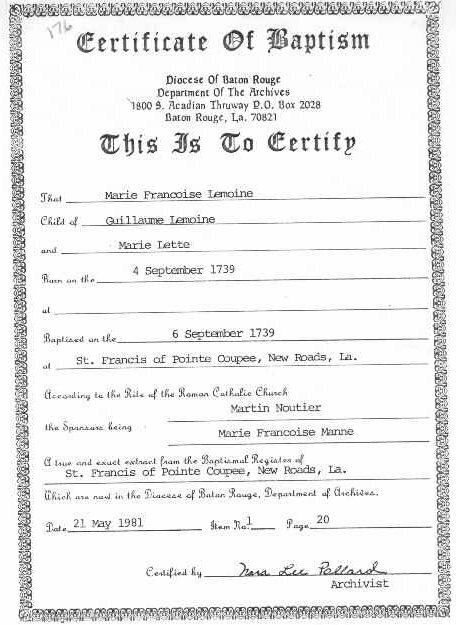 If you have information relating to our family, we would appreciate hearing from you. 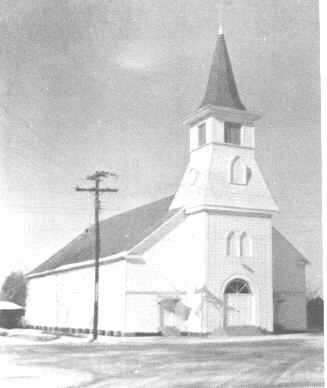 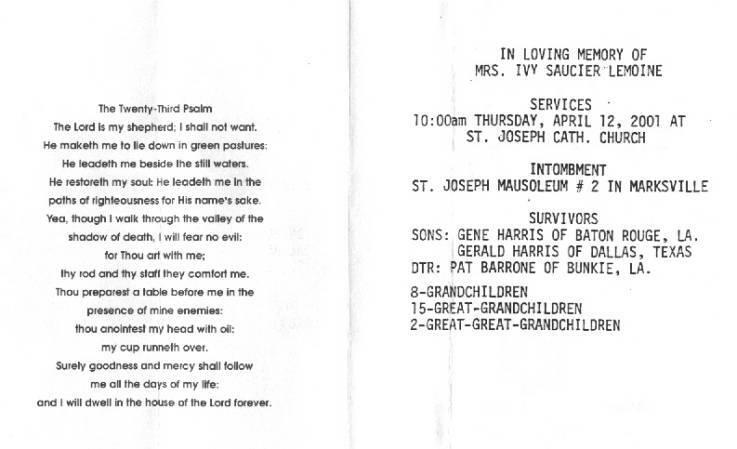 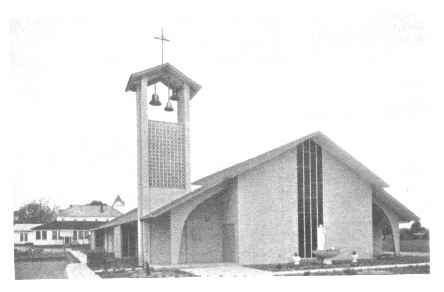 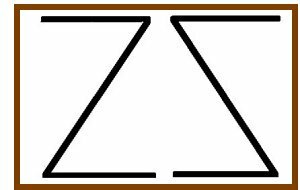 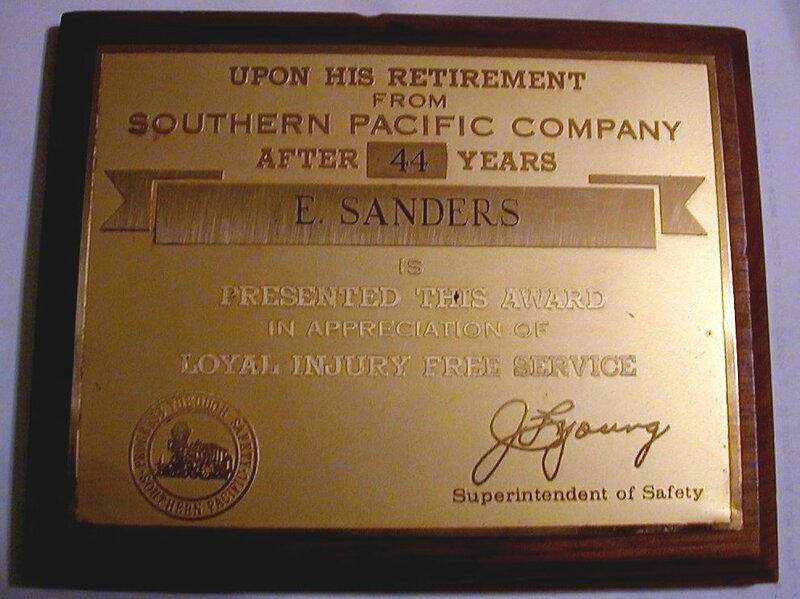 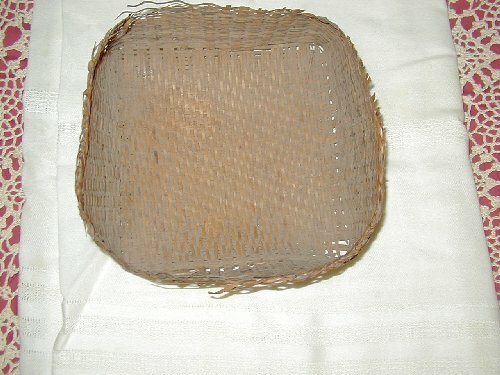 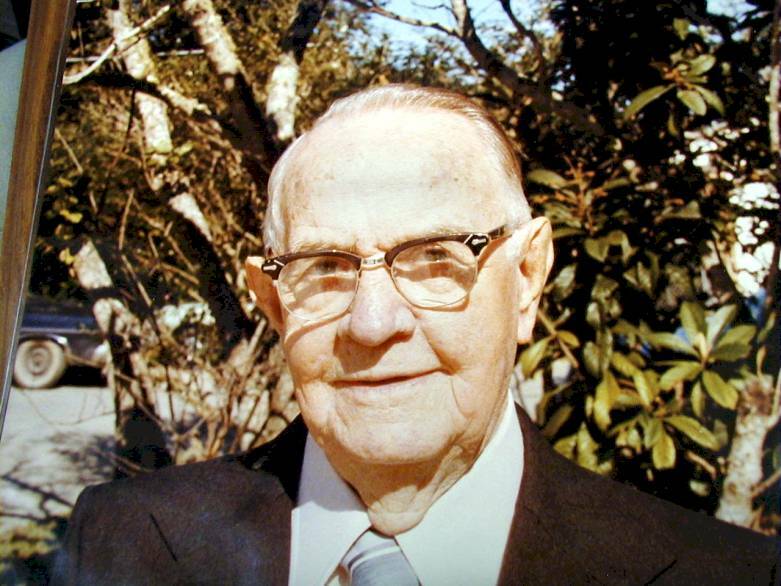 This page was created by the late James W. Dubroc and by James Bolner, Sr. 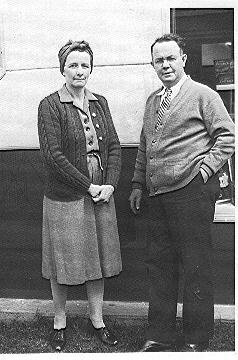 Contact information: jimbolnersr@cox.net. 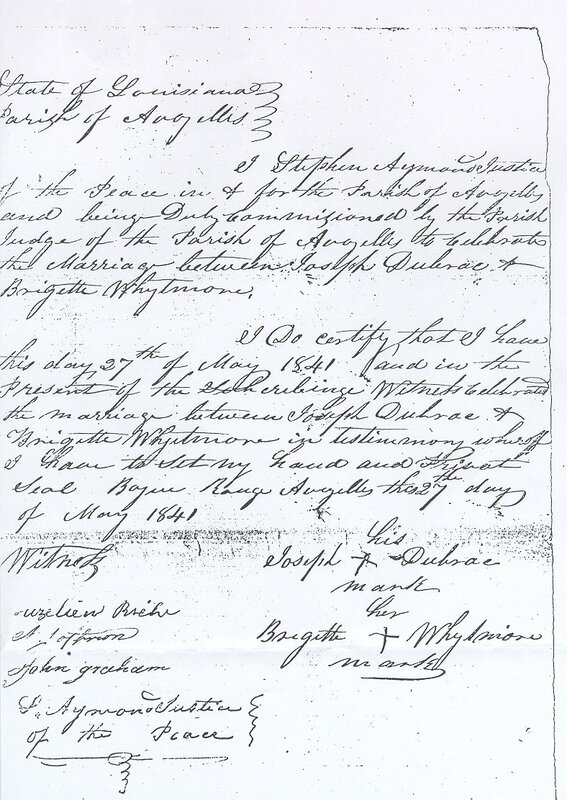 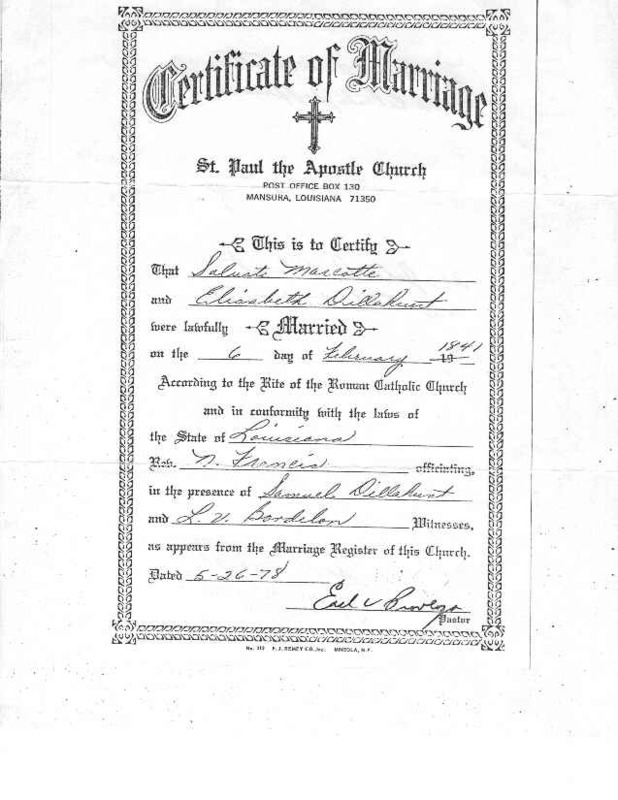 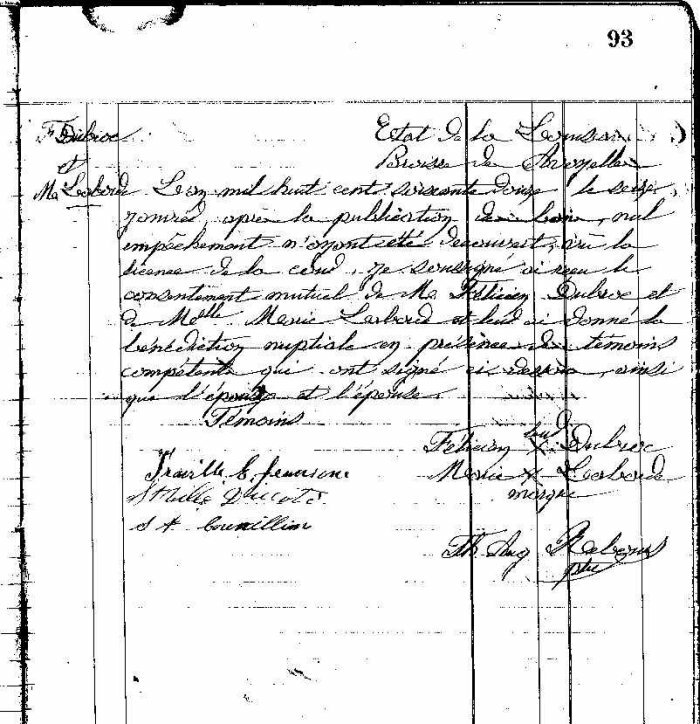 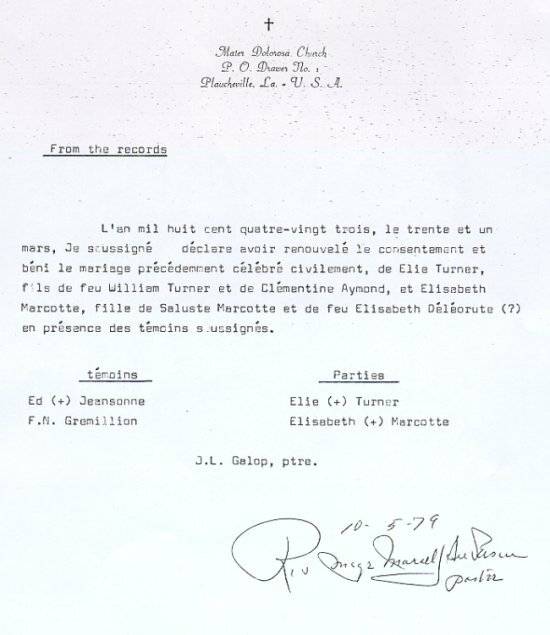 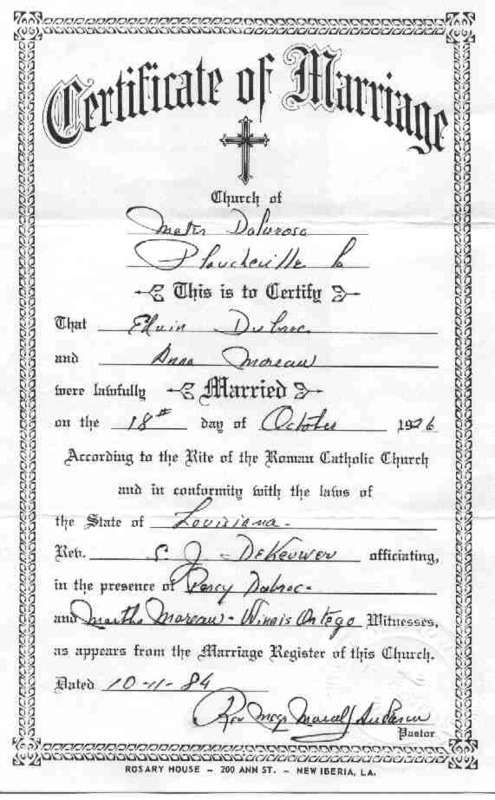 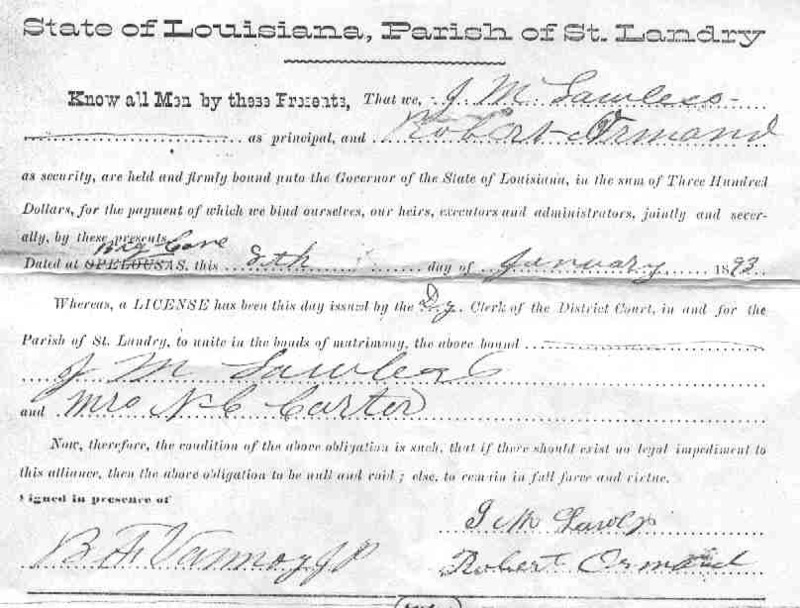 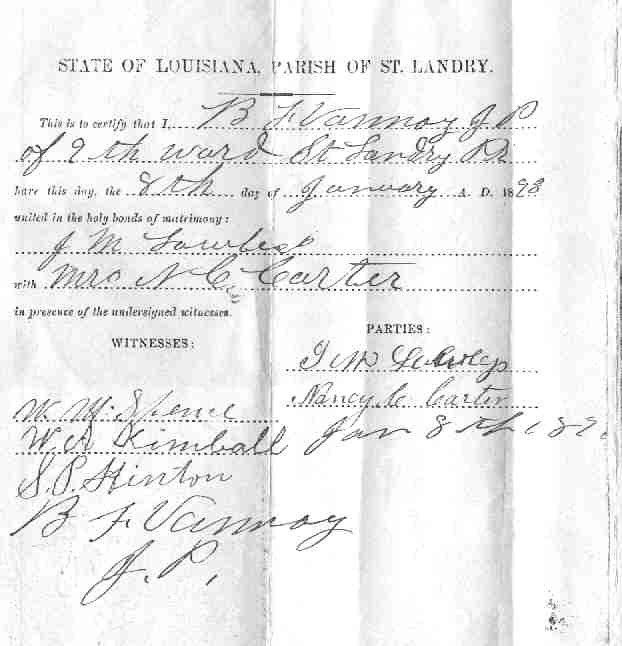 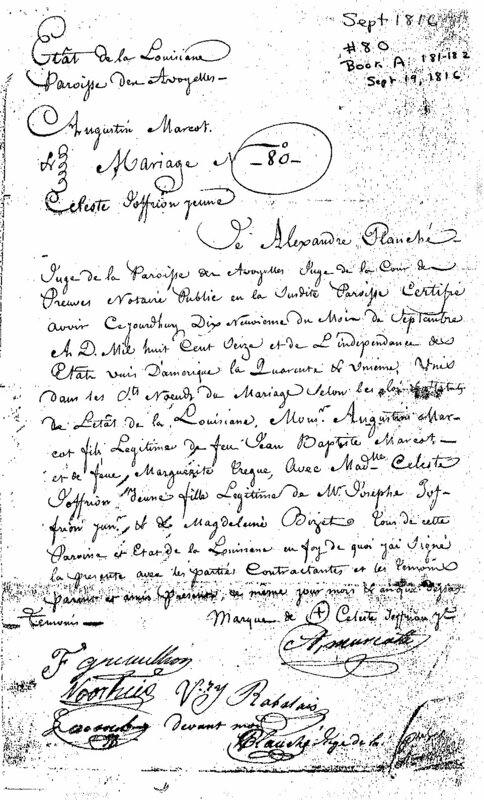 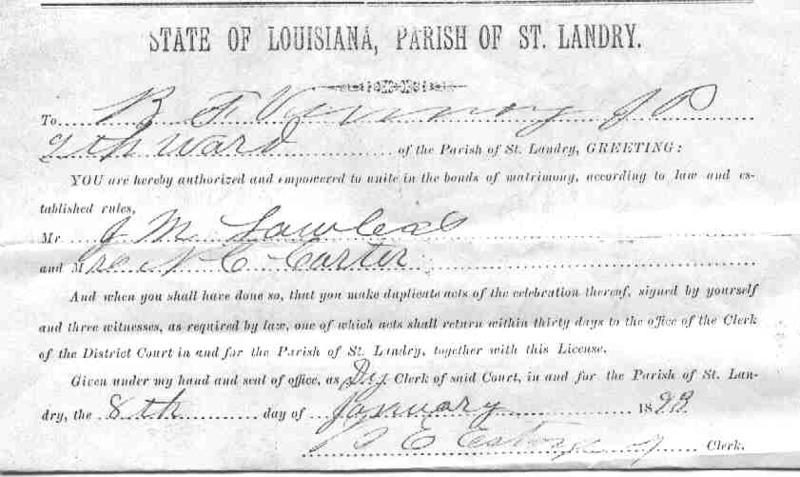 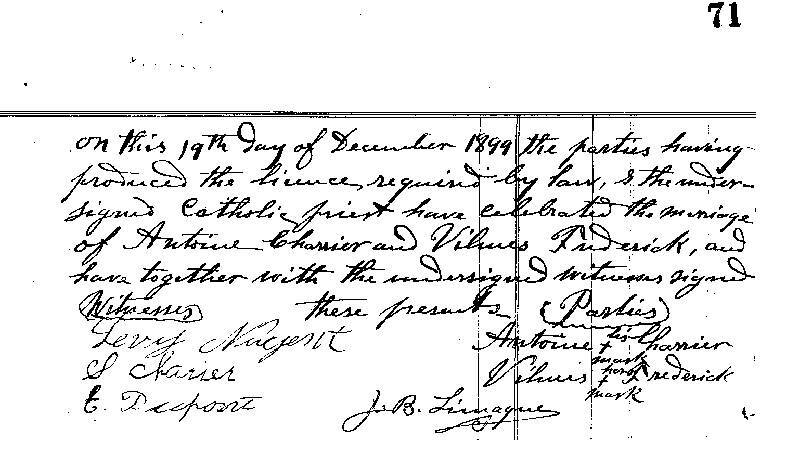 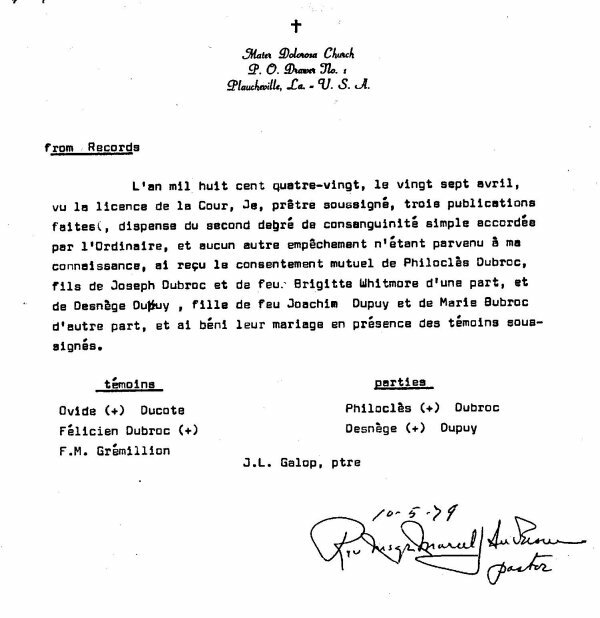 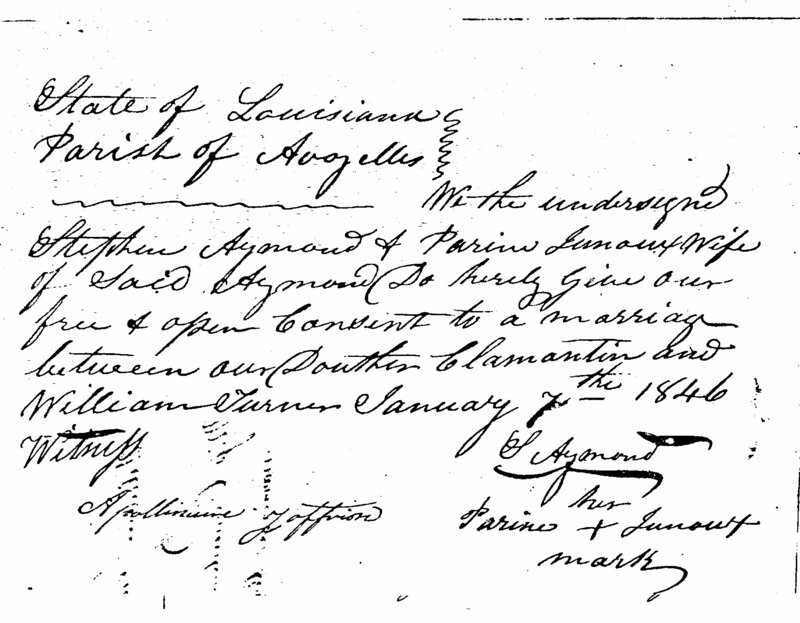 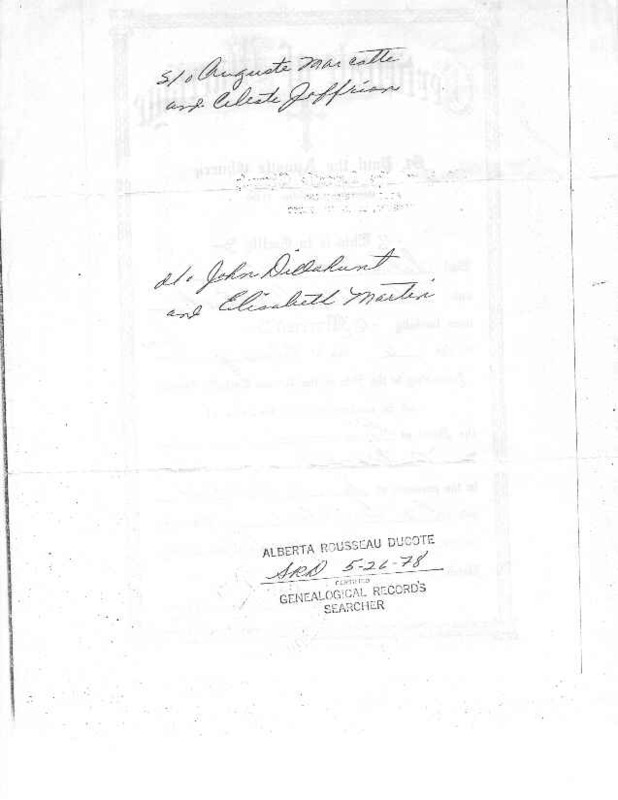 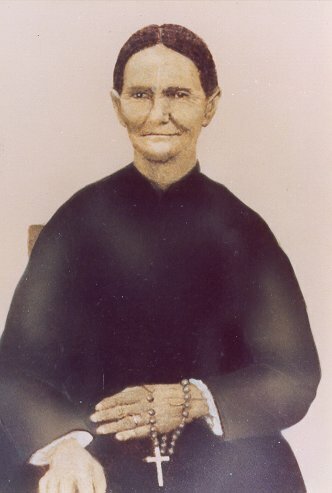 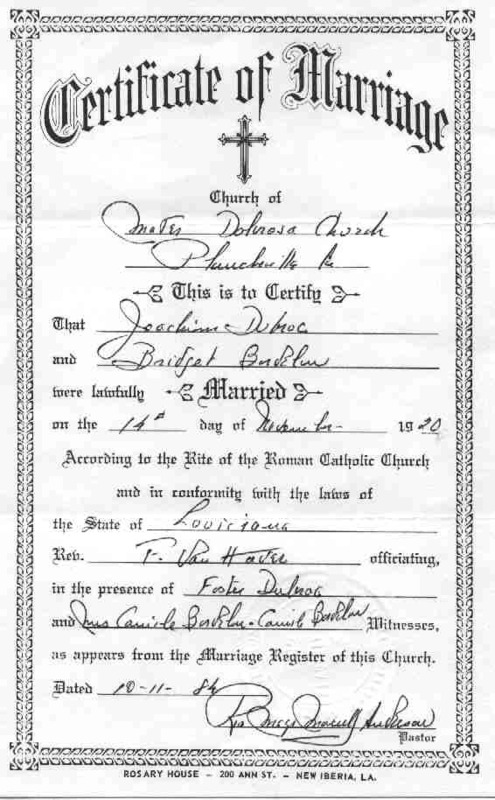 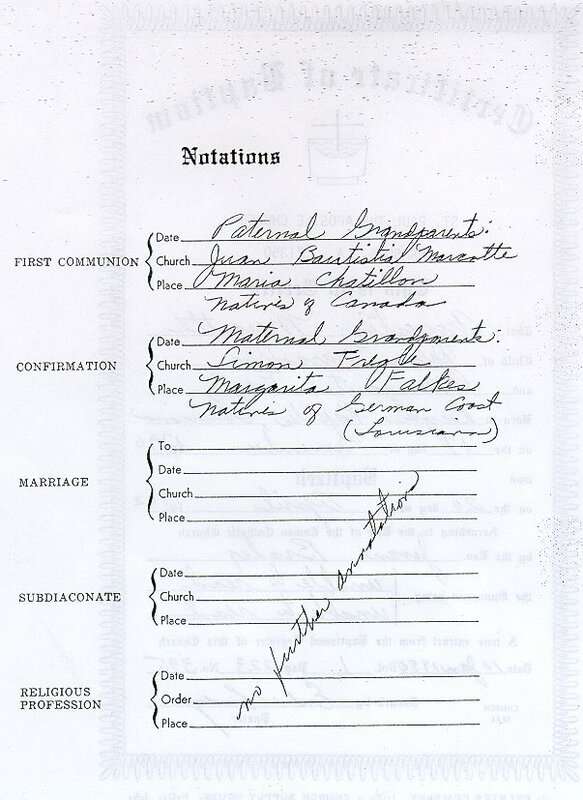 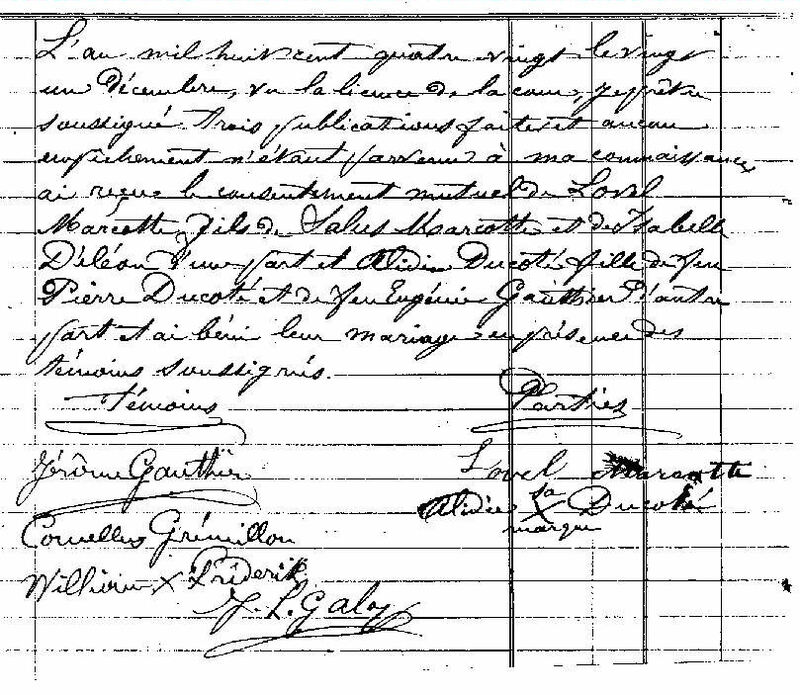 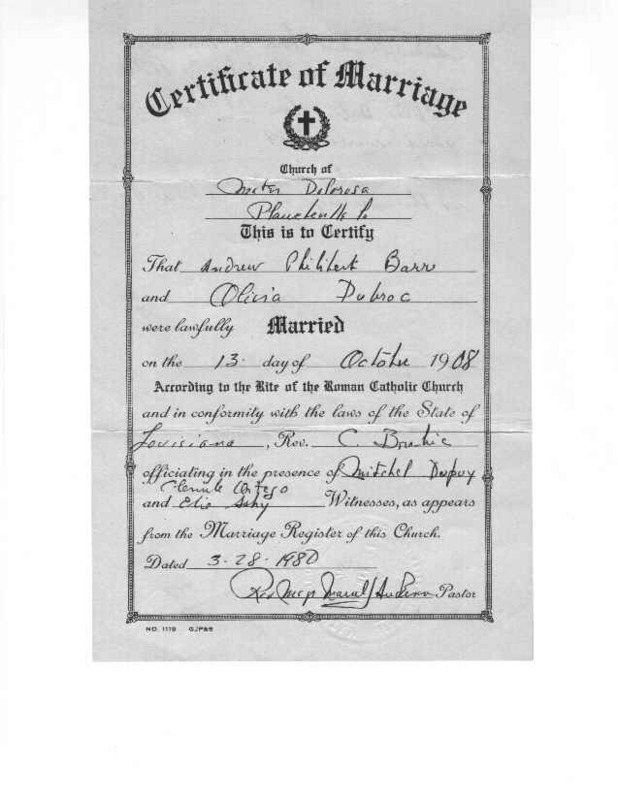 Blessing of the marriage of Saluste Marcotte and Elizabeth Dillahunt on 6 February 1841. 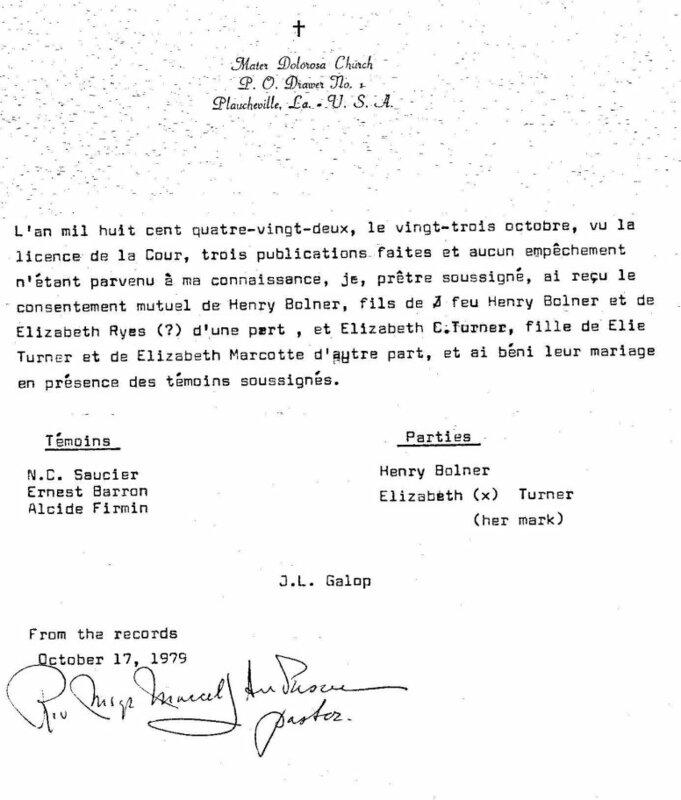 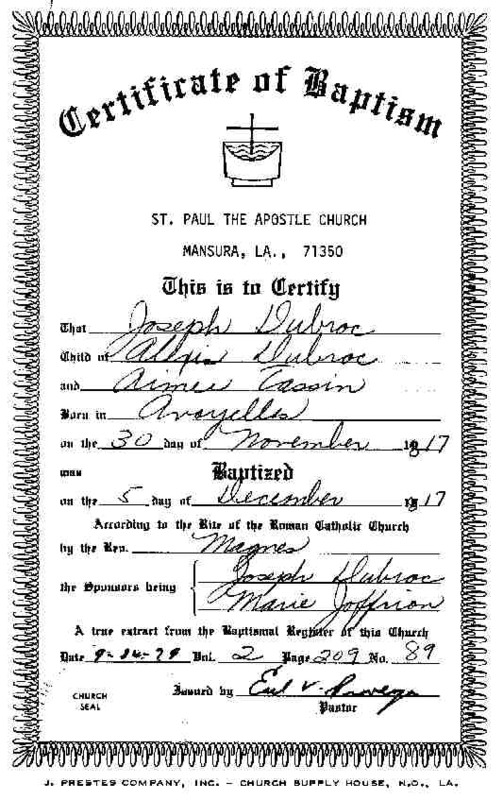 Page 1: Mariage Bond by Stephen Aymond. 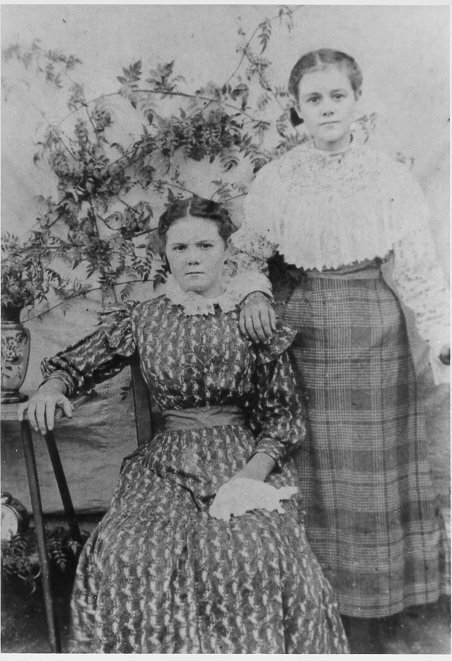 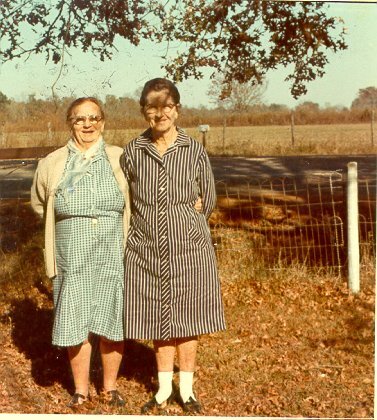 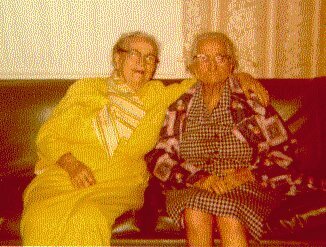 Alexis Dupuis (Dupuy) and Elisabeth Escalien (Scallan) . 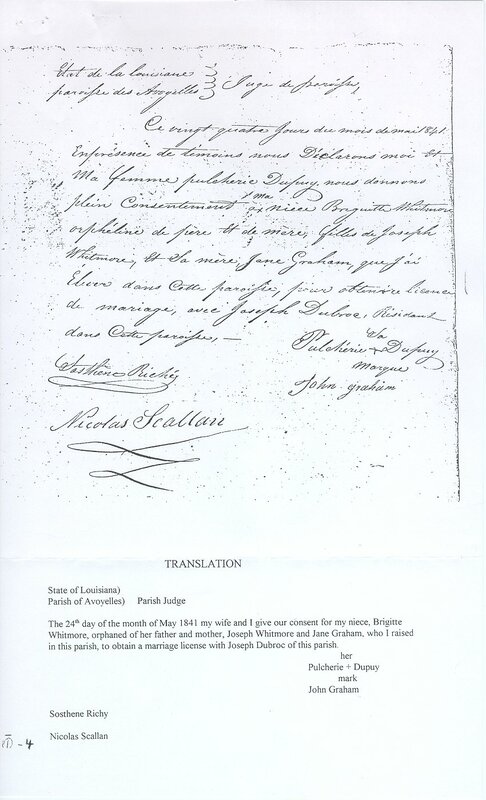 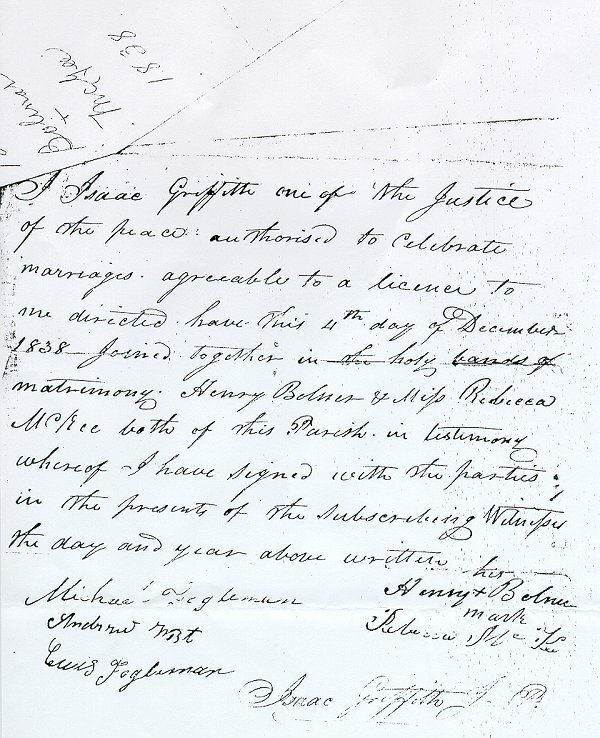 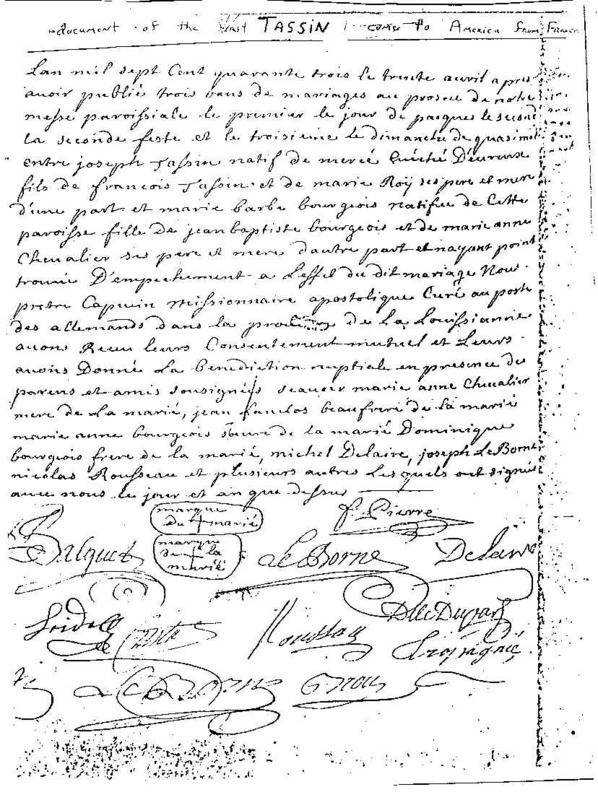 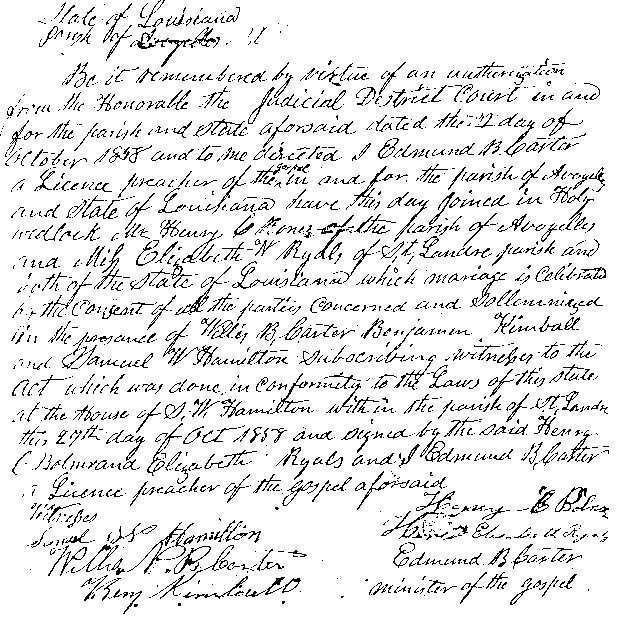 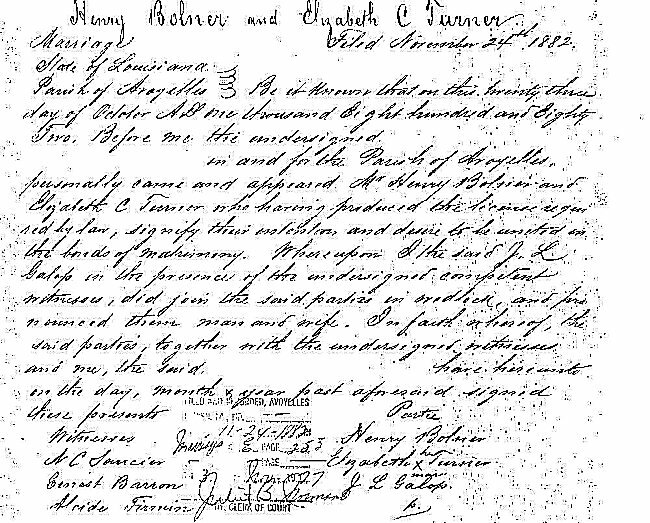 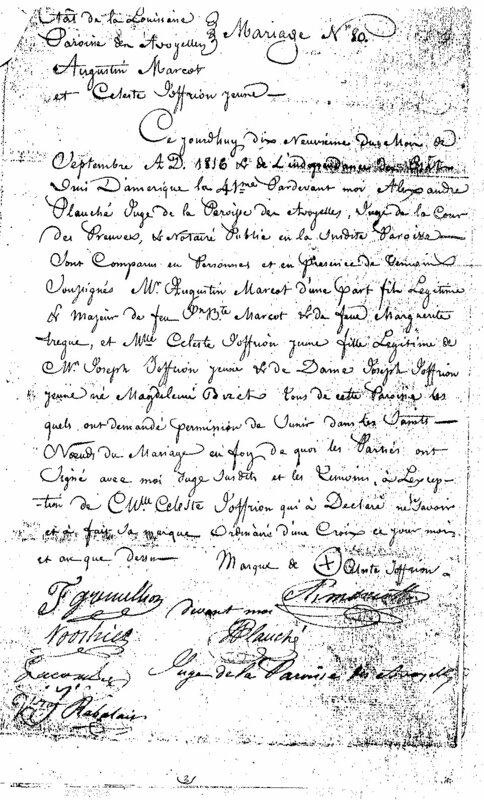 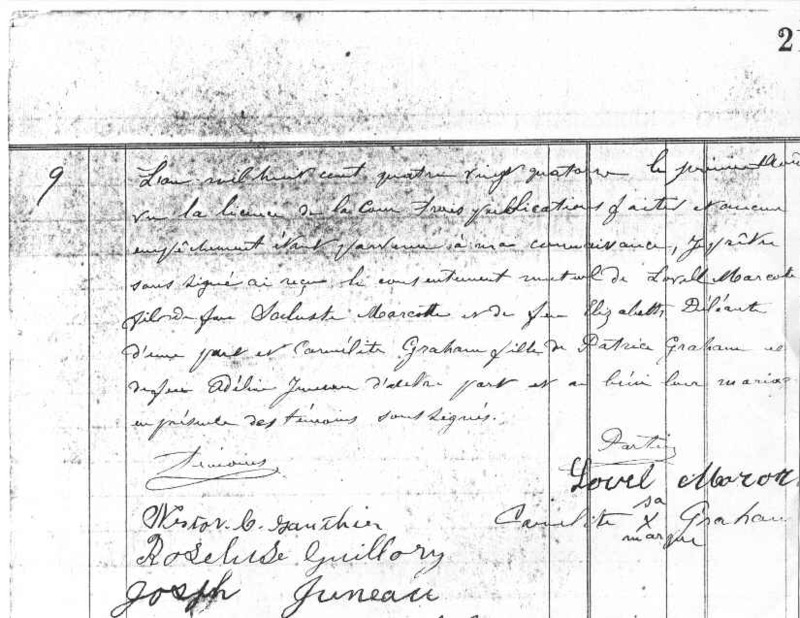 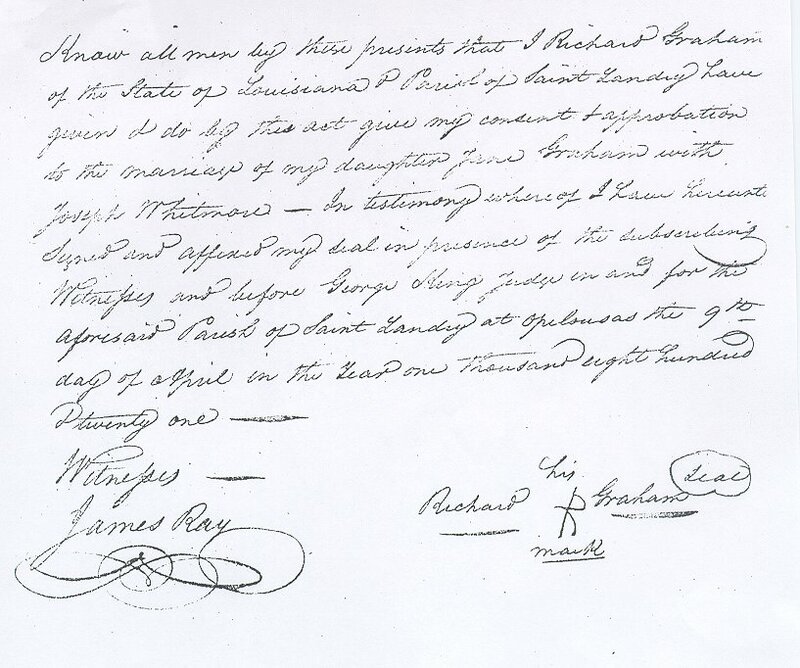 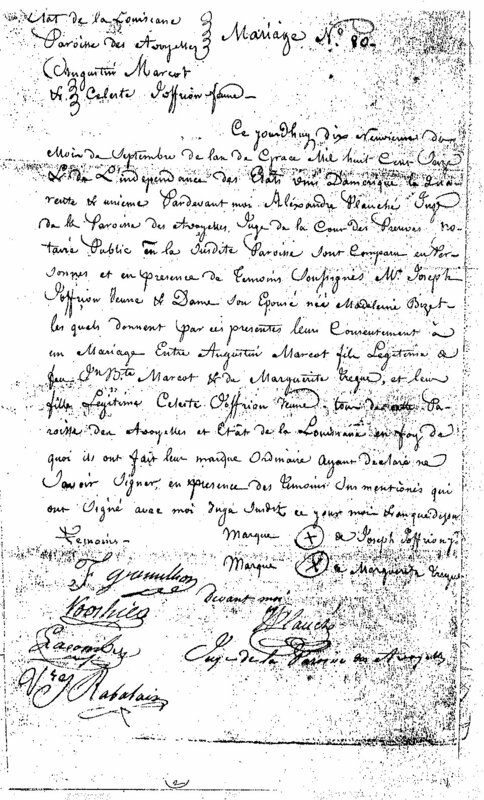 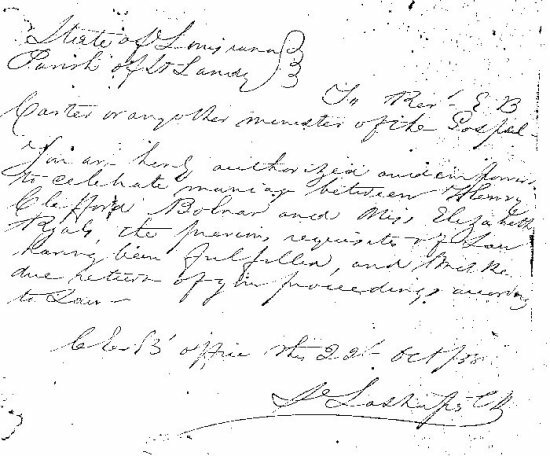 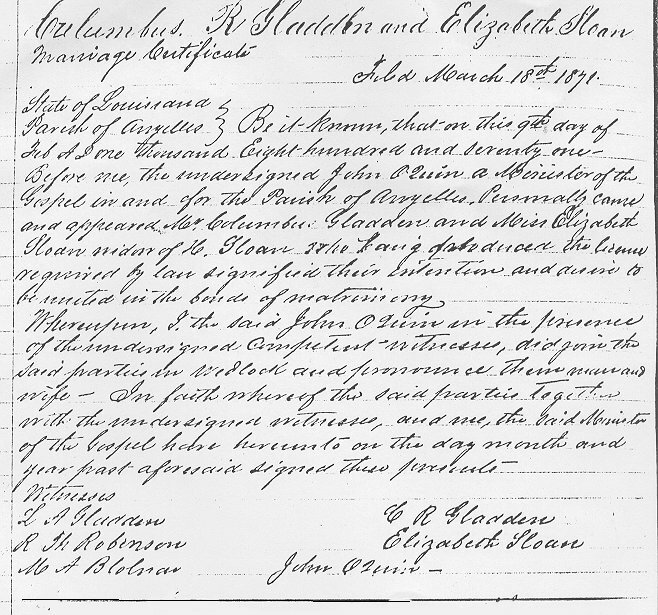 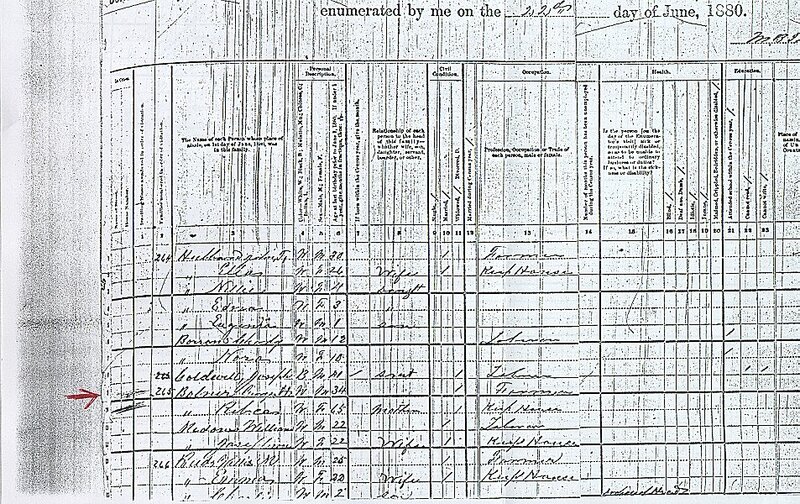 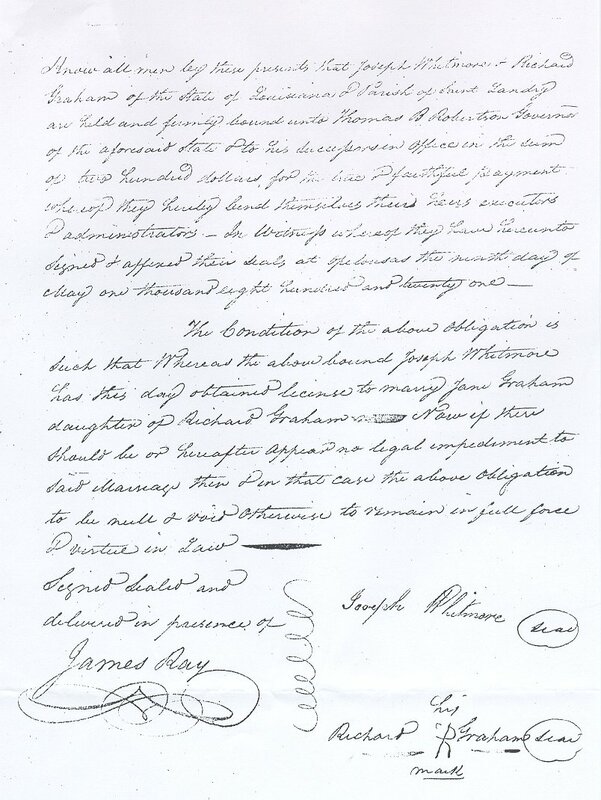 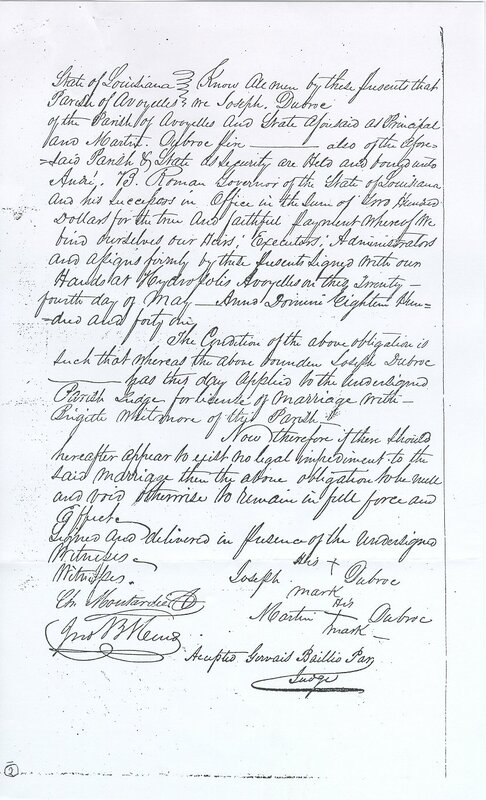 Blessing the Civil Marriage contracted on 20 September 1814. 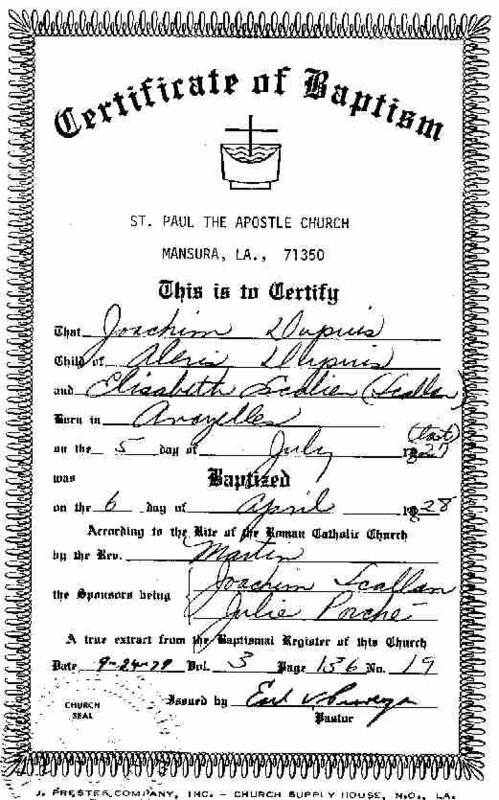 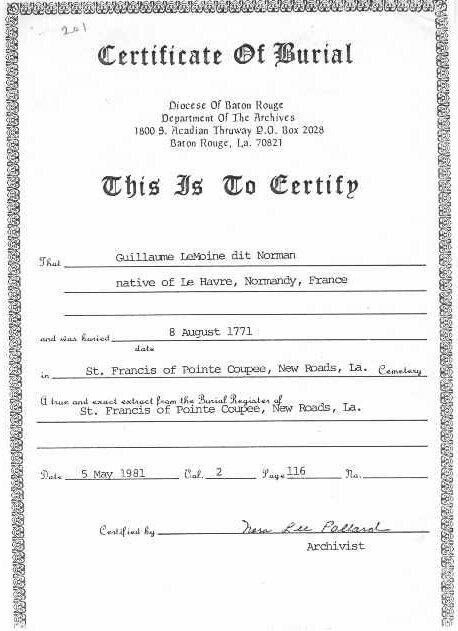 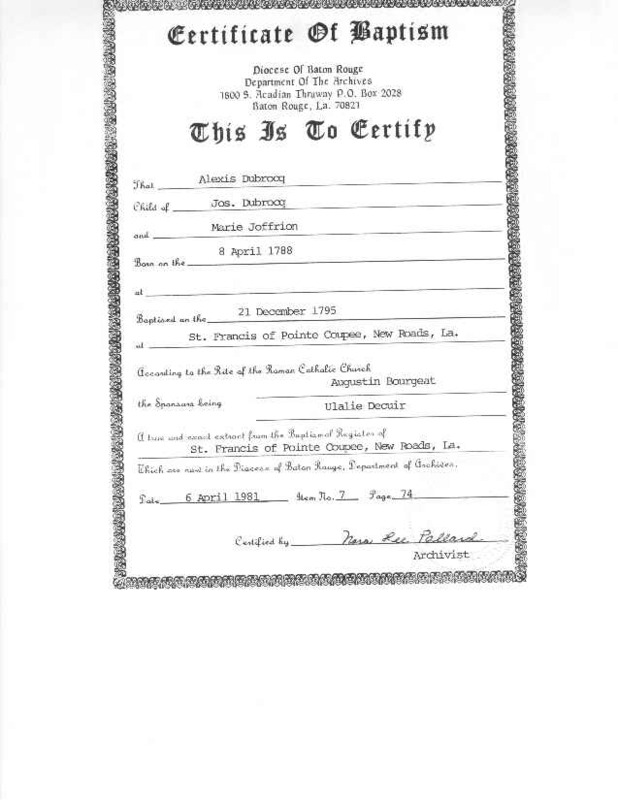 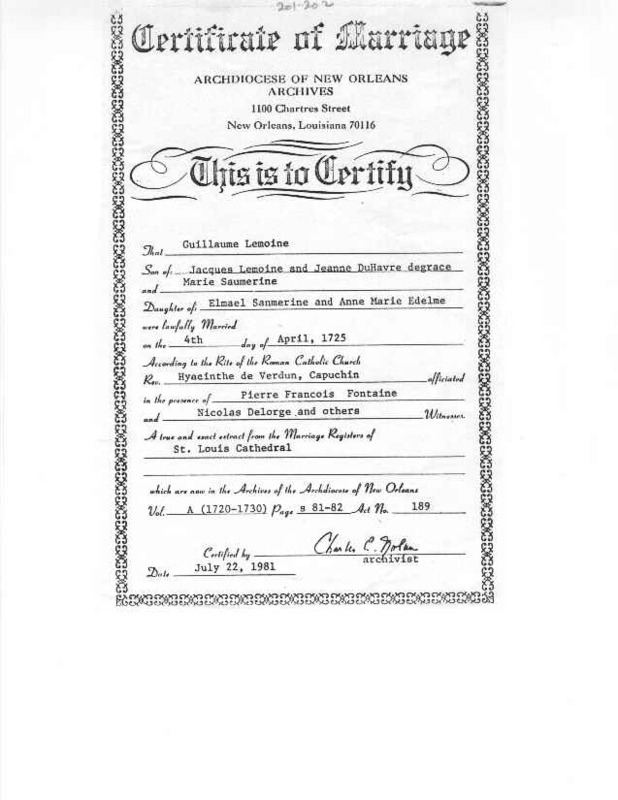 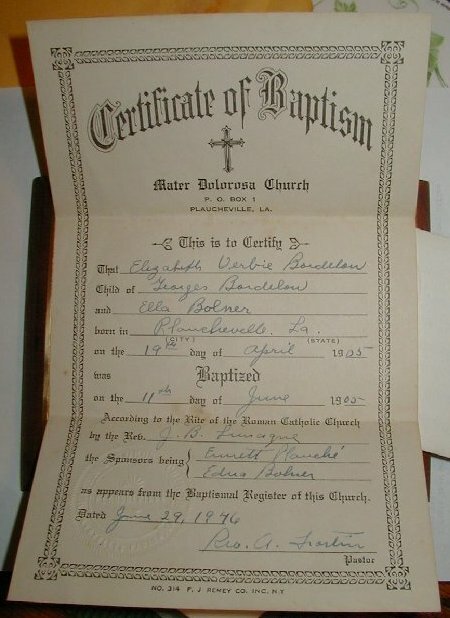 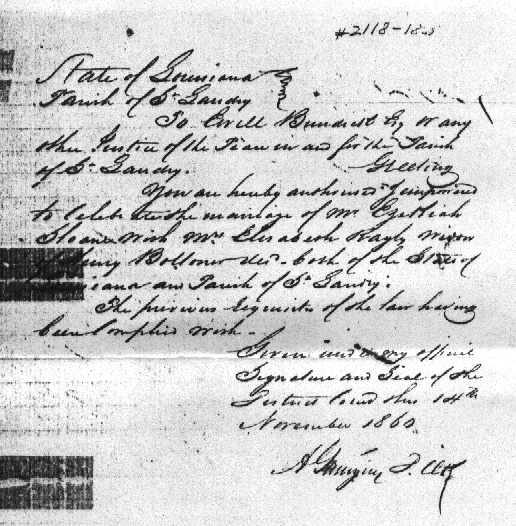 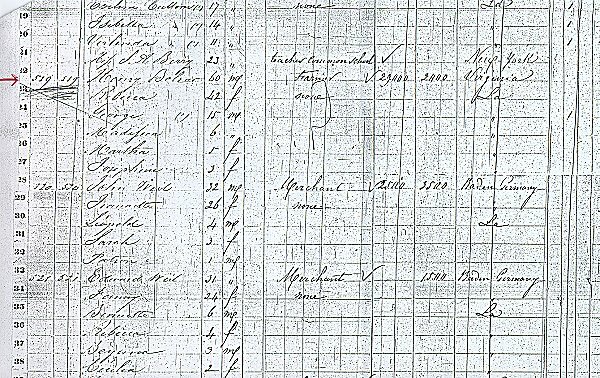 Note: Daigrepont spelled wrong on this document. 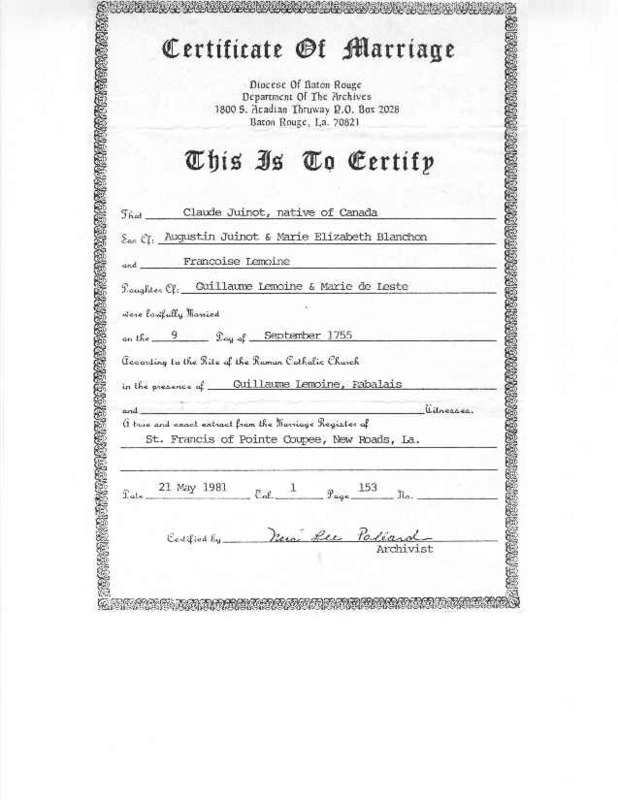 Thanks to Gloria Daigrepont Kennedy and Eve Croft for making it available. 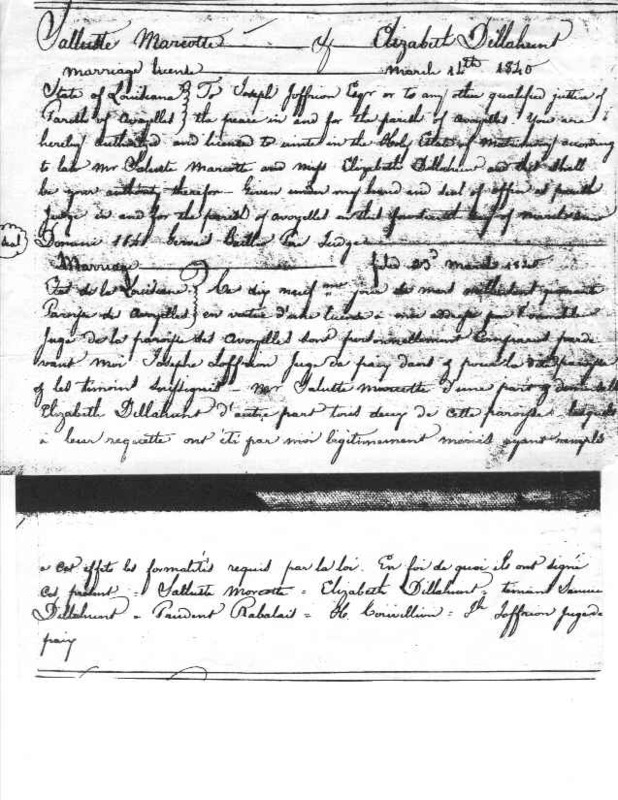 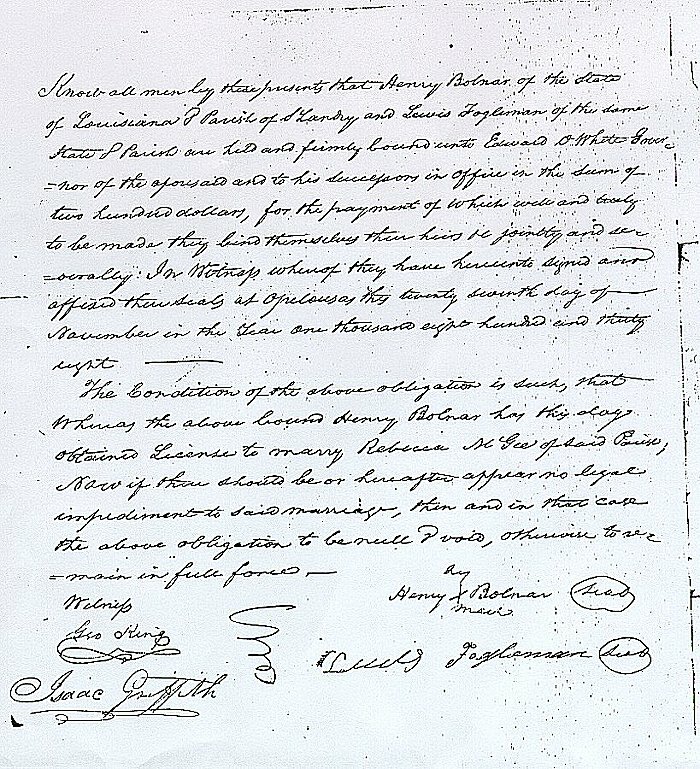 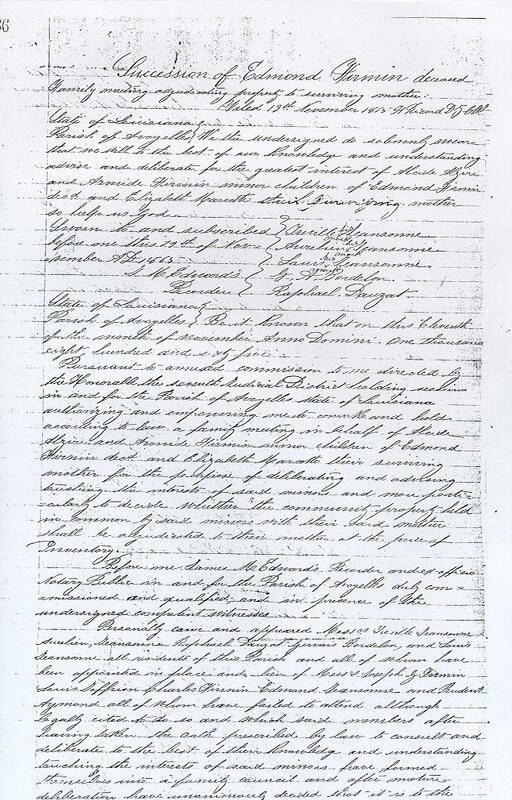 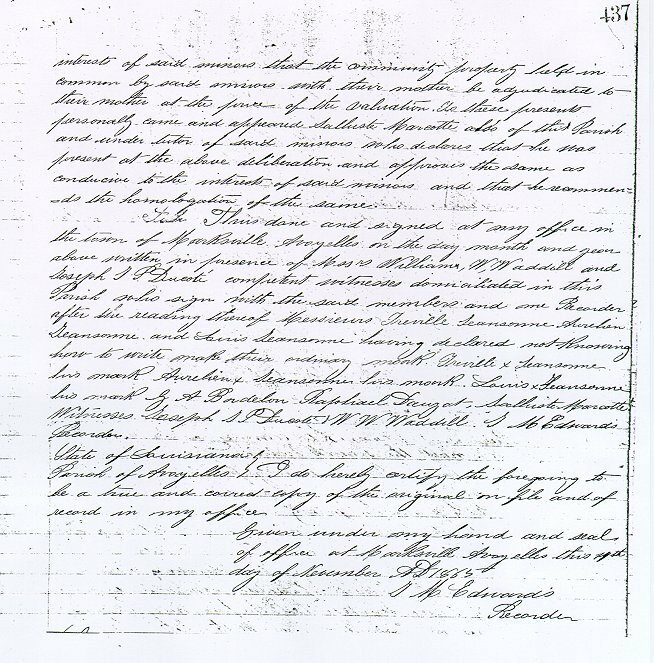 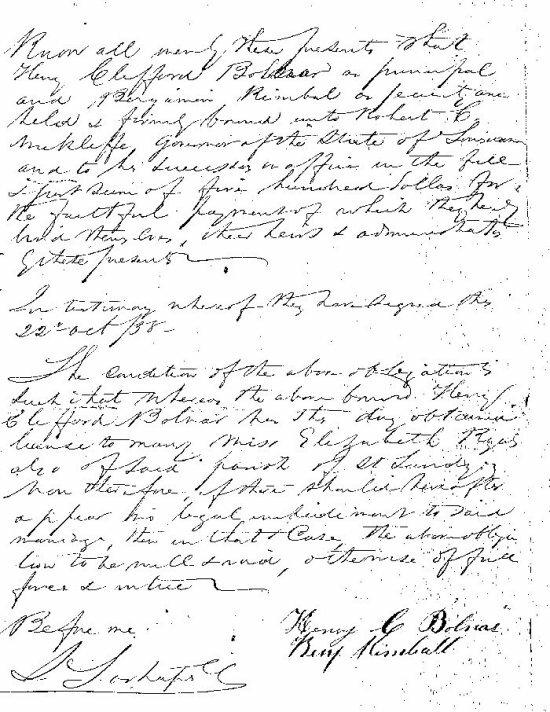 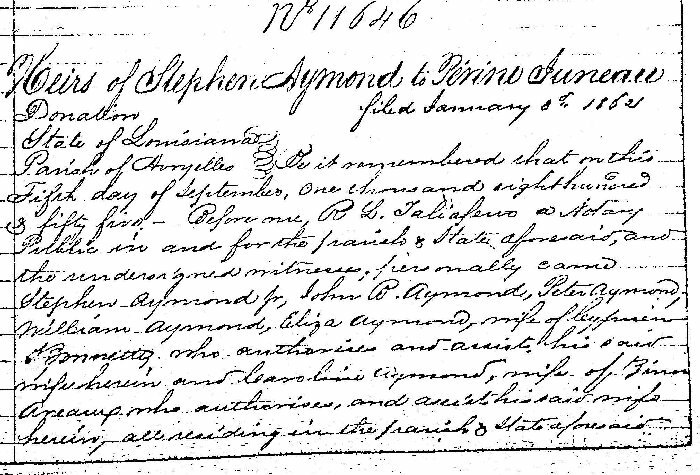 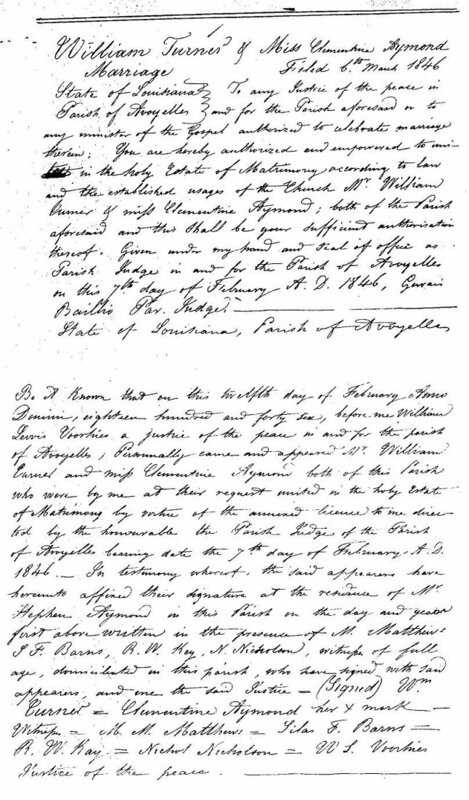 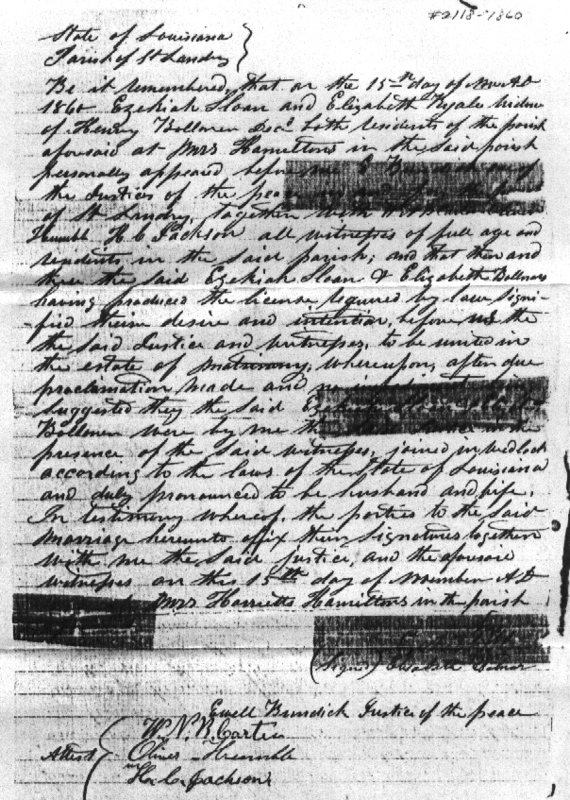 A deed from Perrine Juneau, widow of Stephen Aymond, to Clementine Aymond, widow of William Turner, 3 Jan 1862: Page 1, Page 2. 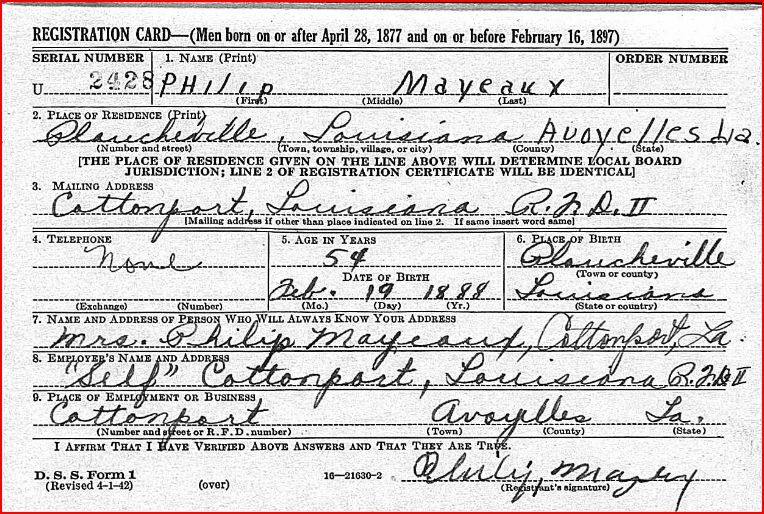 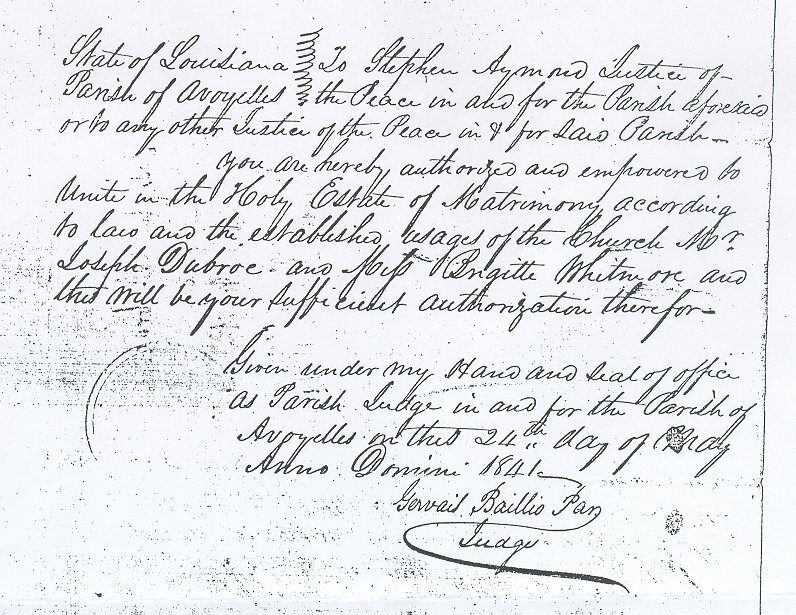 "Avoyelles Surnames to be Recognized in Movement to Honor Creoles,"
Marksville Weekly News, July 12, 2012, p. 2. 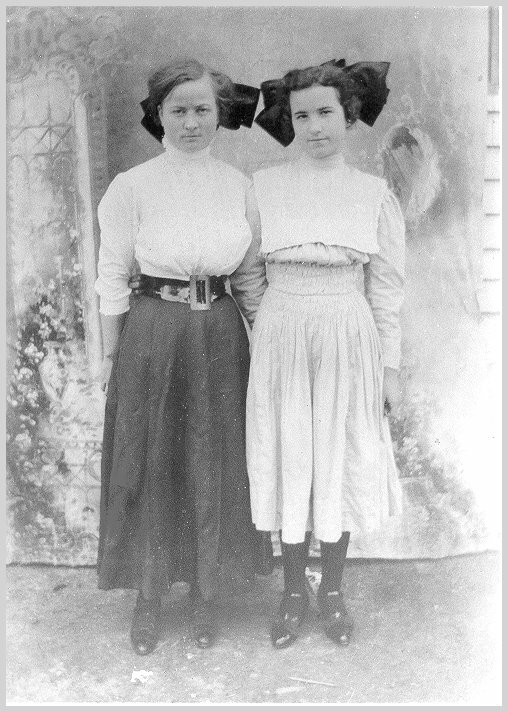 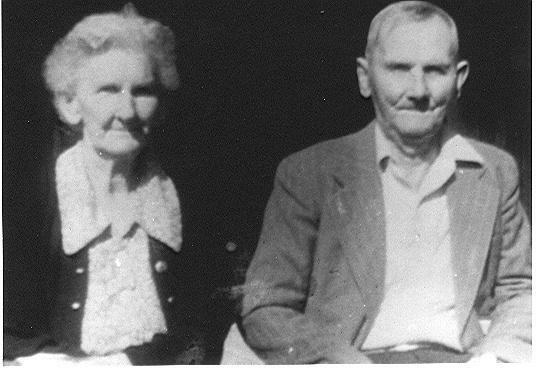 A Photograph of Almeda Firmin Bolnar/Bolner and Anita Firmin Details pending. 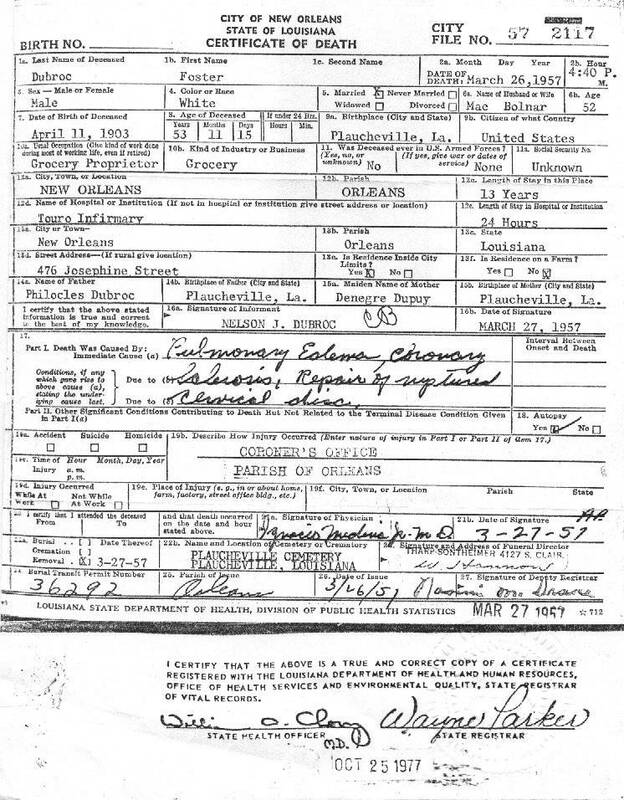 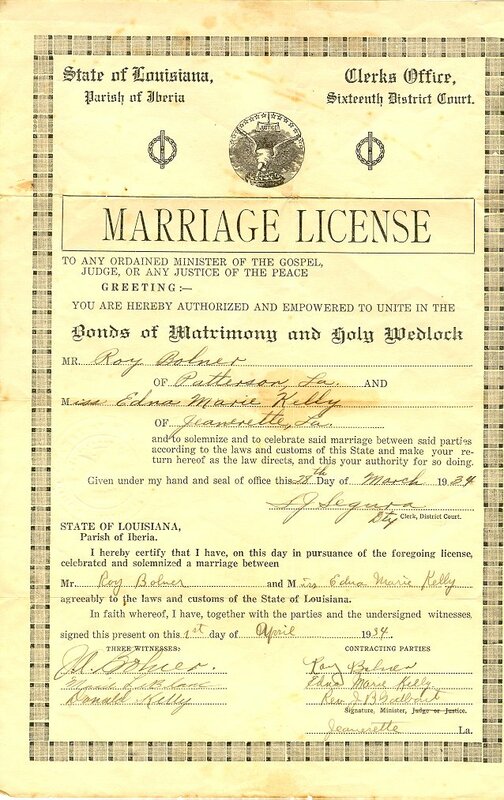 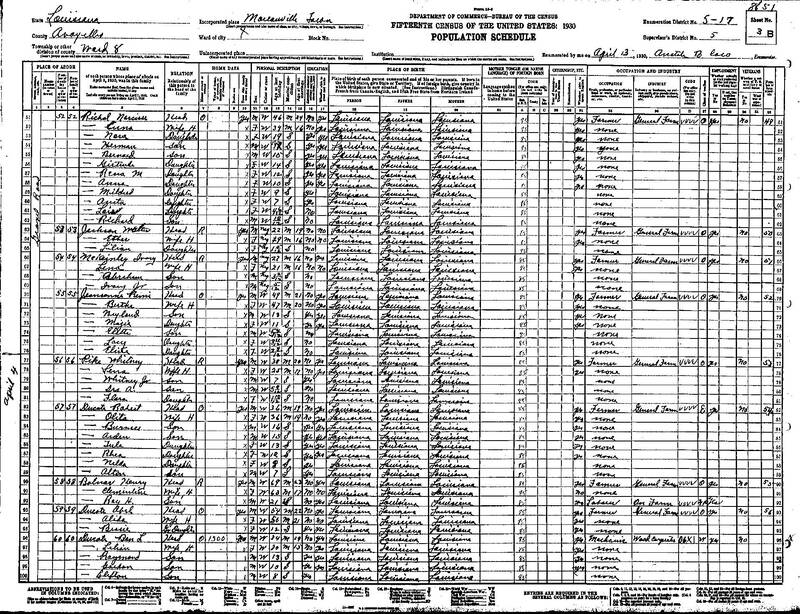 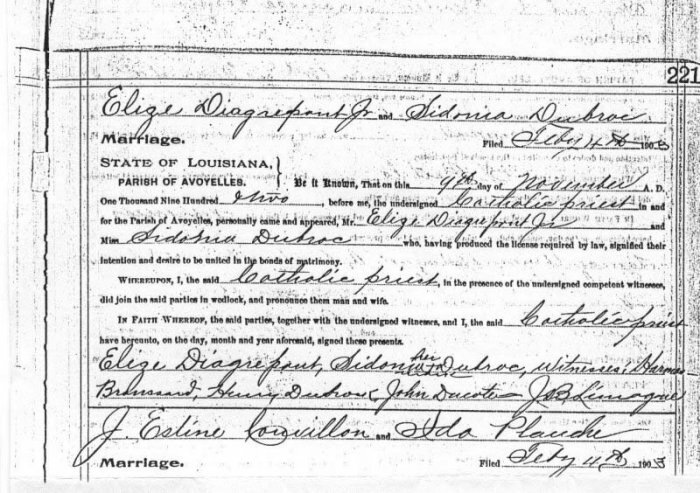 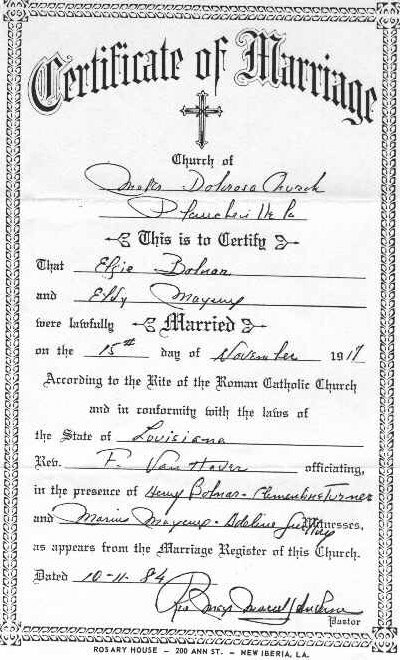 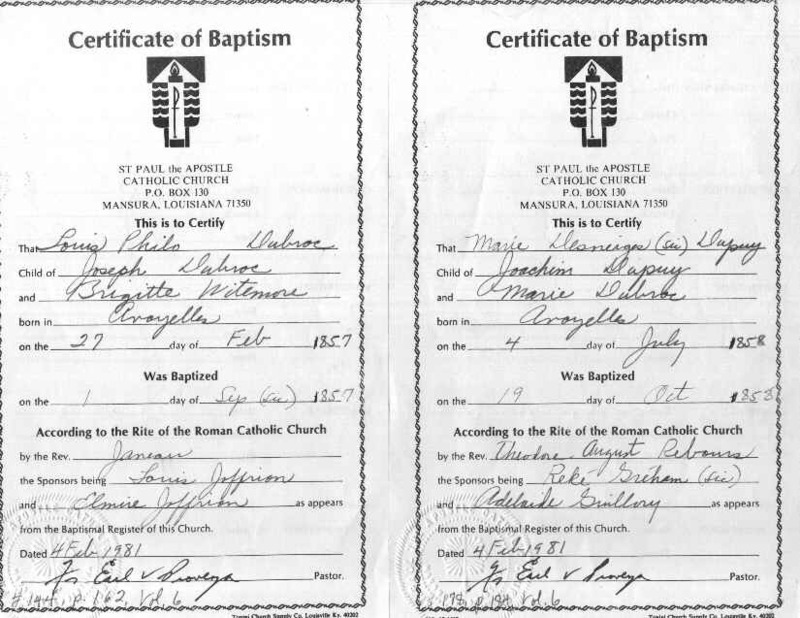 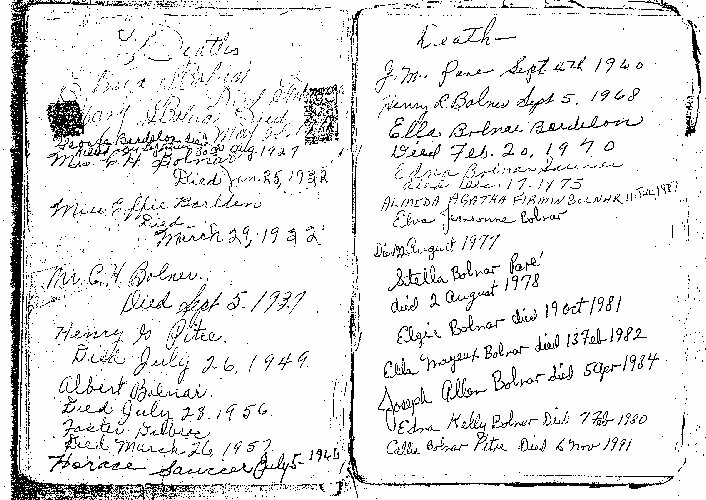 Elgie Bolnar and Eldy Mayeaux, married 15 November 1917. 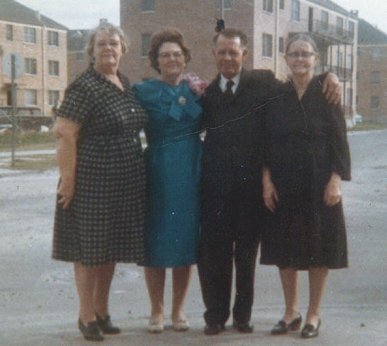 This picture was taken November 1967 for their 50th wedding anniversary. 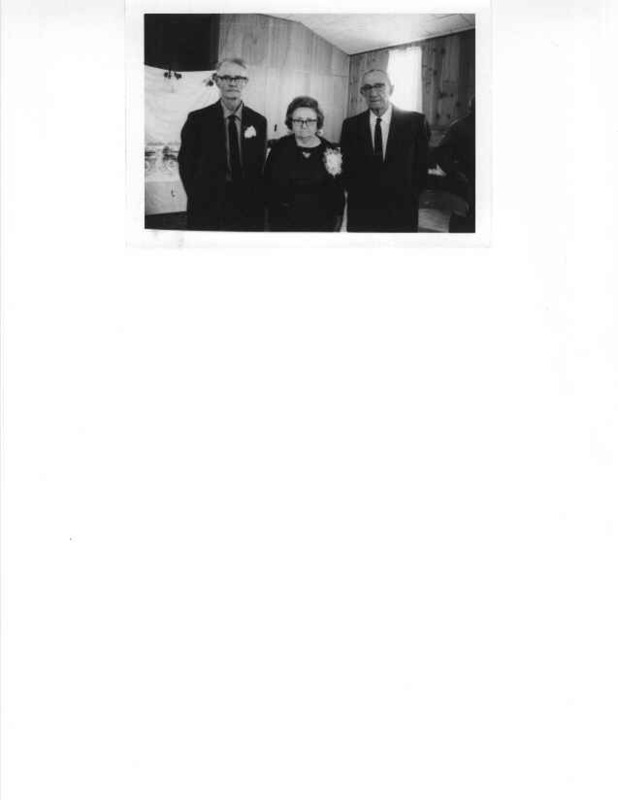 the man on the right is Cagey Travassos who was their best man. 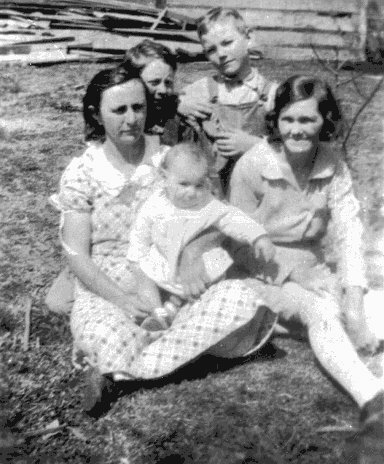 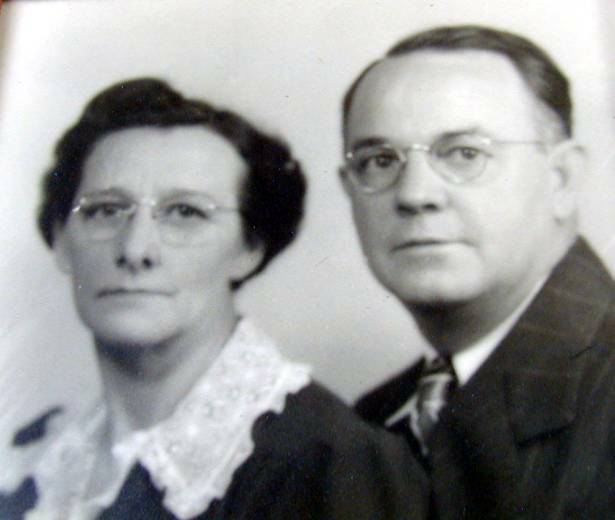 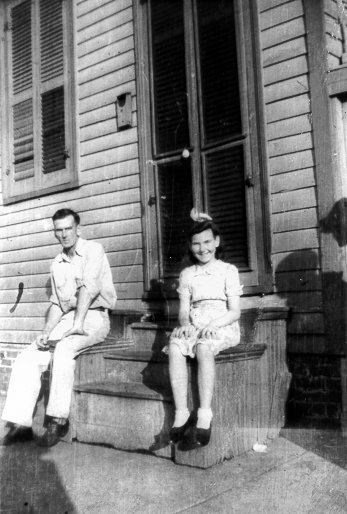 Foster Dubroc and Effie Dubroc (c. 1944 or 1945 at 2300 So. 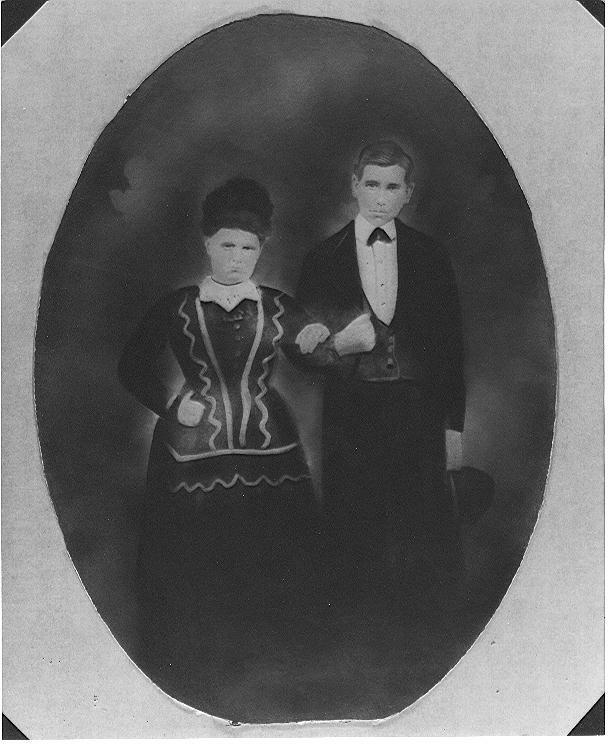 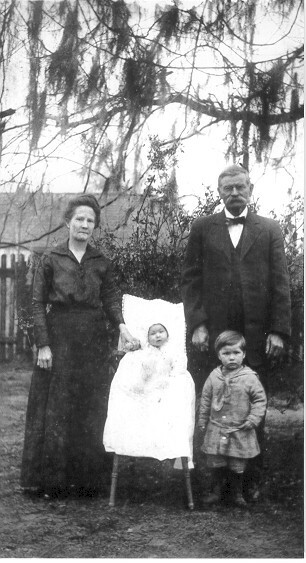 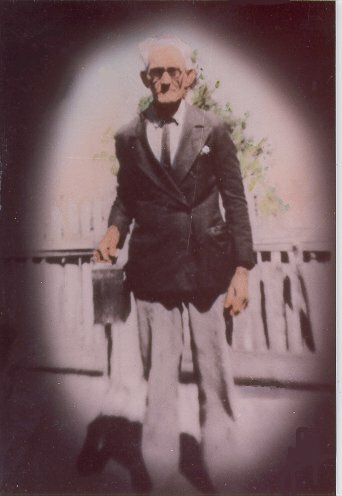 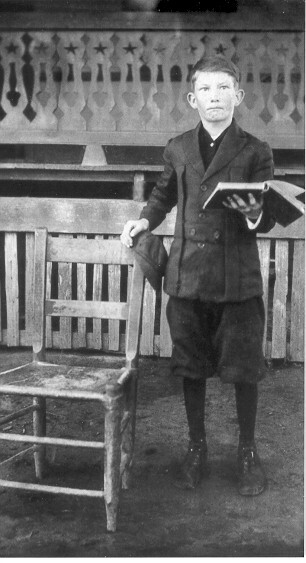 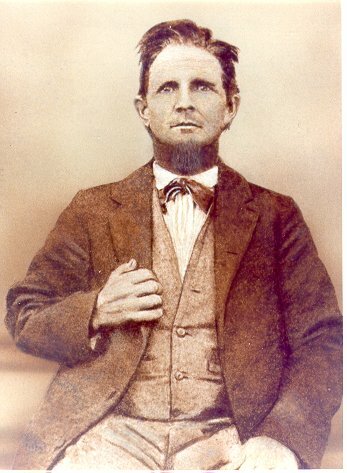 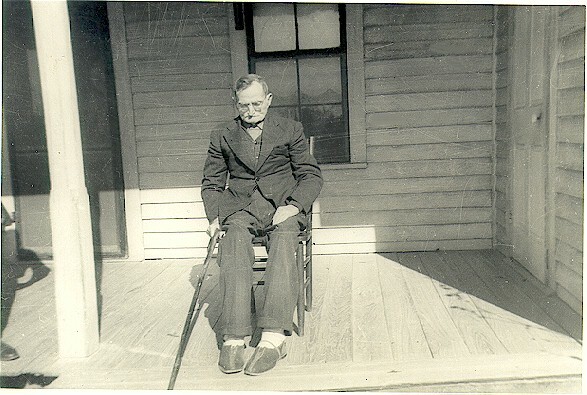 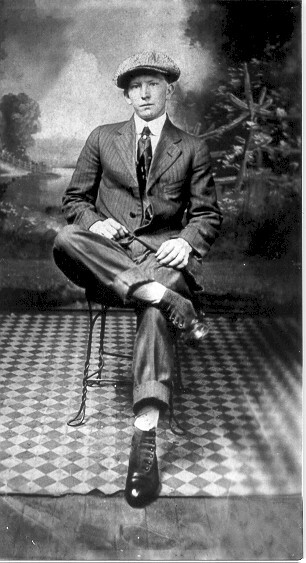 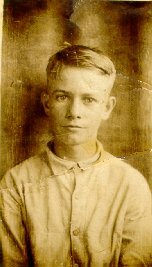 Photo of Windom Saucier, son of Emma Turner and her first husband, Samuel Saucier. 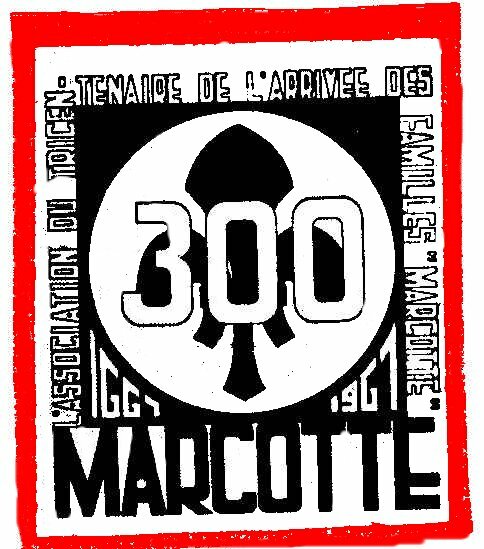 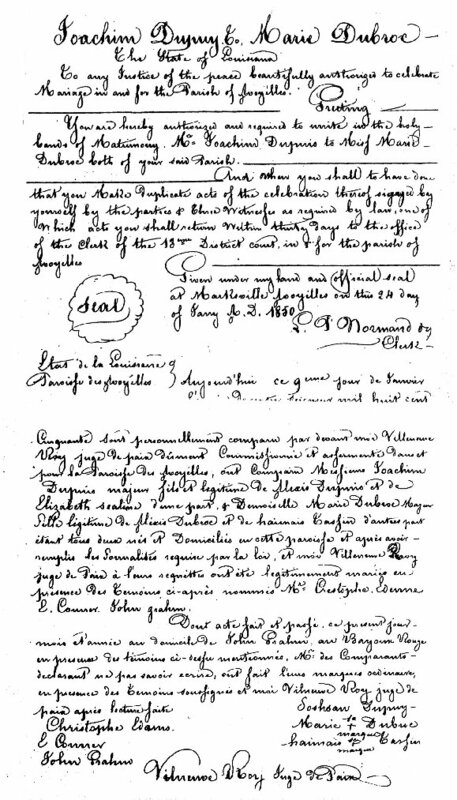 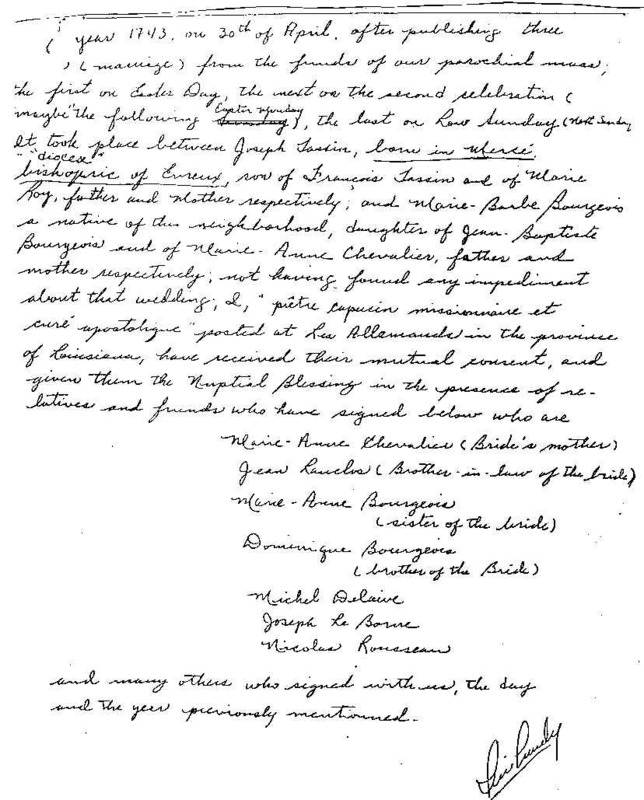 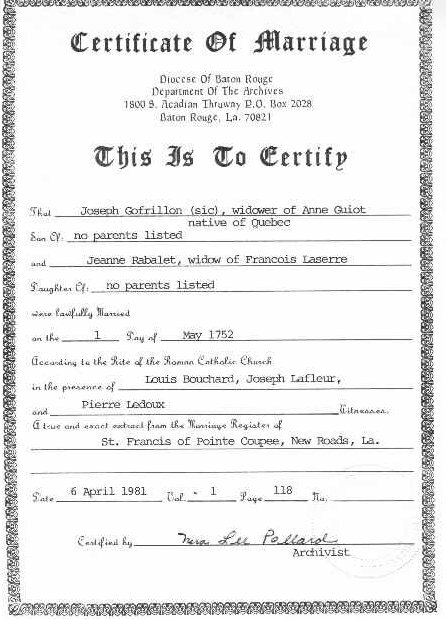 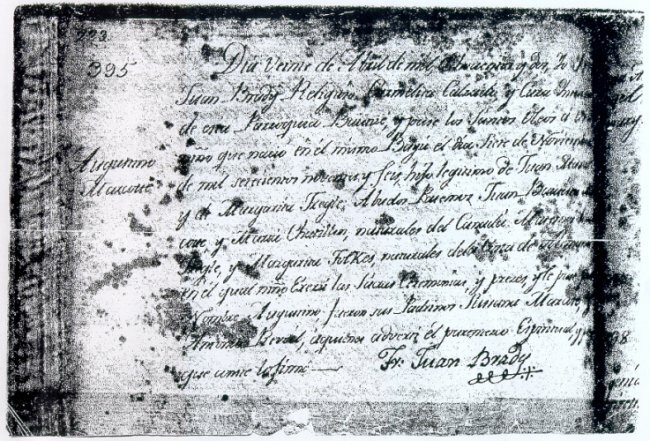 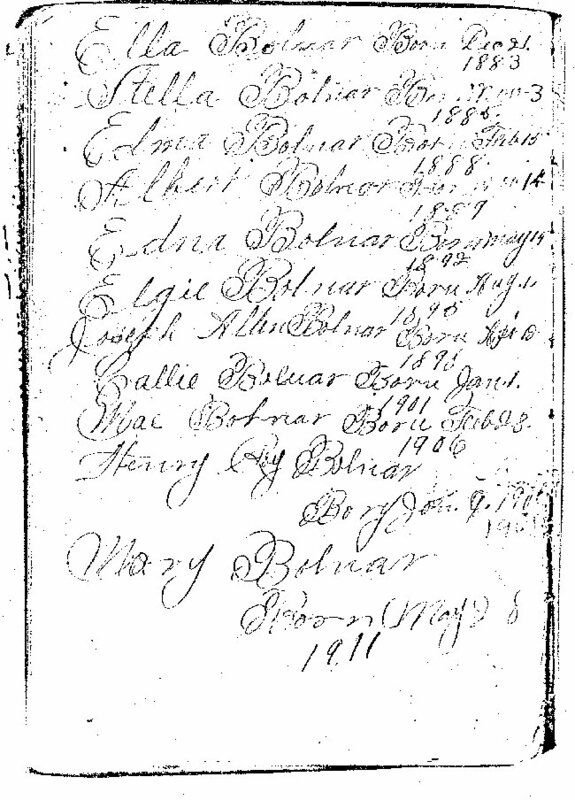 A copy of a copy of a Decal put out by the MARCOTTE family in Canada in 1967 celebrating 300 years (1667-1967) of the arrival of the Marcottes in Canada. 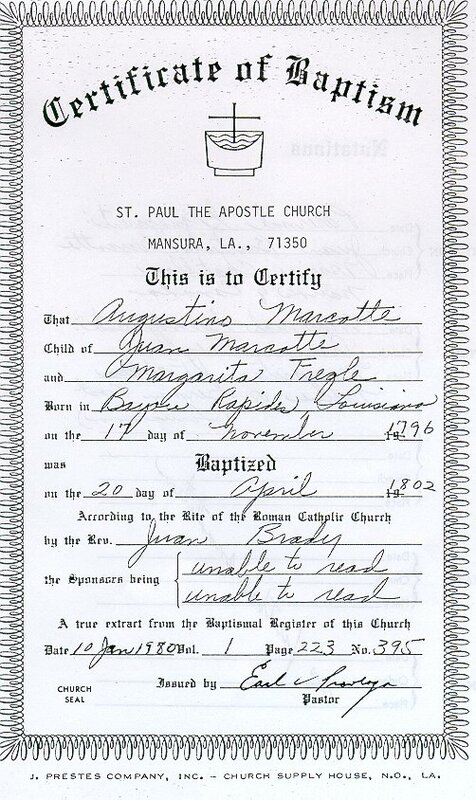 We thank Mrs. Gloria Marcotte of Arabi, LA, for making it available. 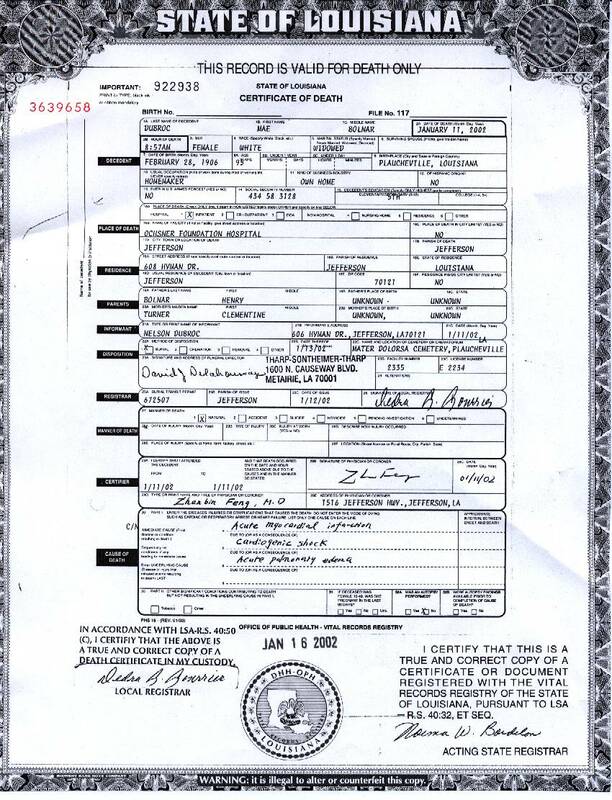 It was last updated on August 12, 2013.